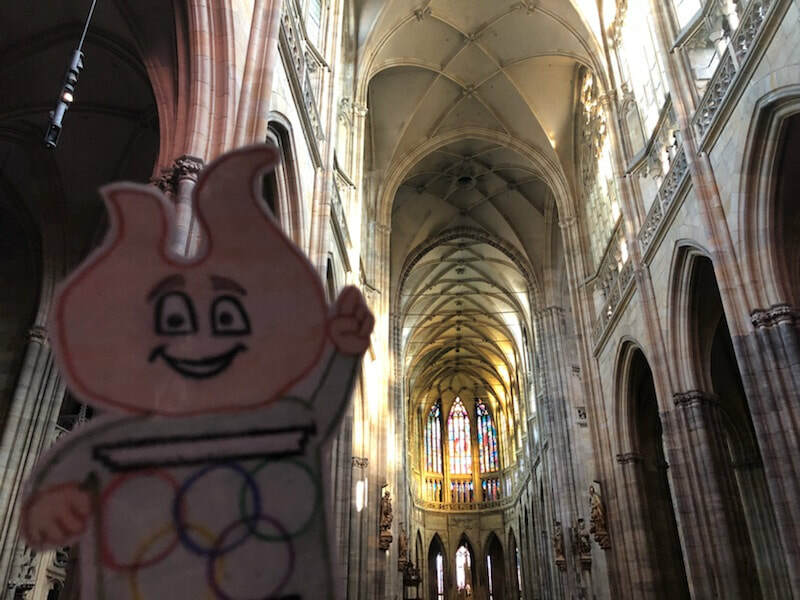 Meet Torchy! 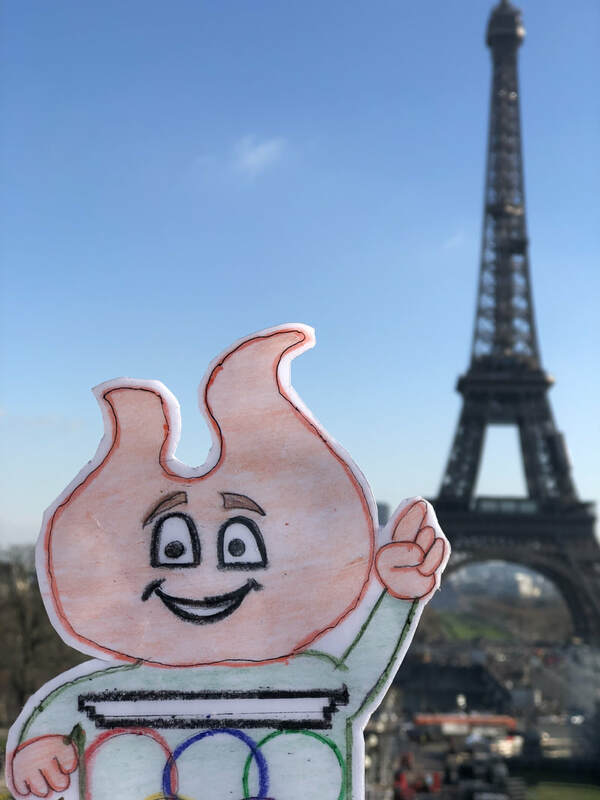 Torchy is my own version of the ever popular "Flat Stanley!" Why a torch you ask? Well, The Academy at Nola Dunn (where I am student teaching back in Texas) is Olympic themed. 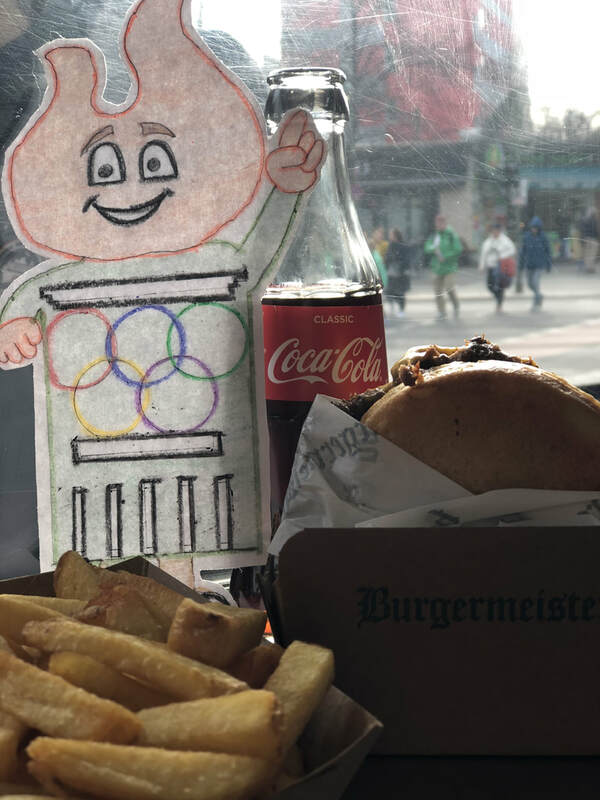 Their mascot is the Olympian and school symbol is the Olympic Rings. 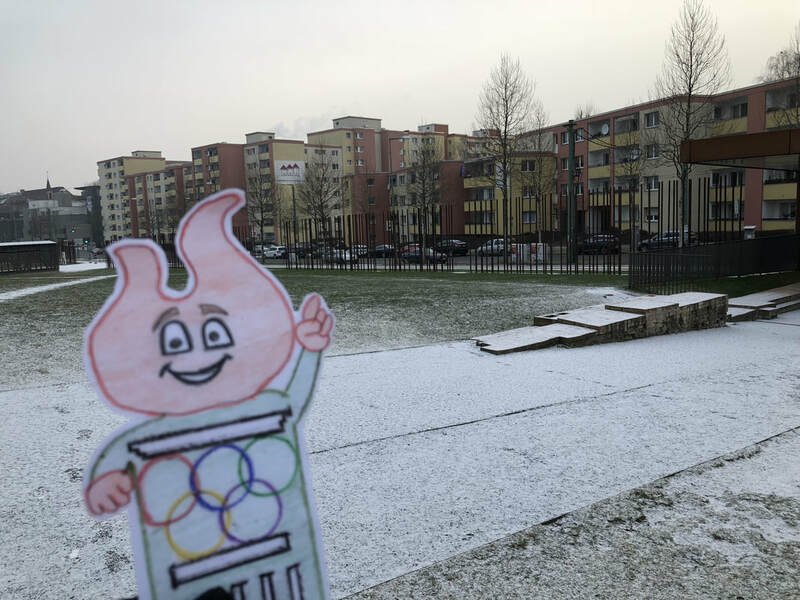 The whole school really embraces the Olympic theme! 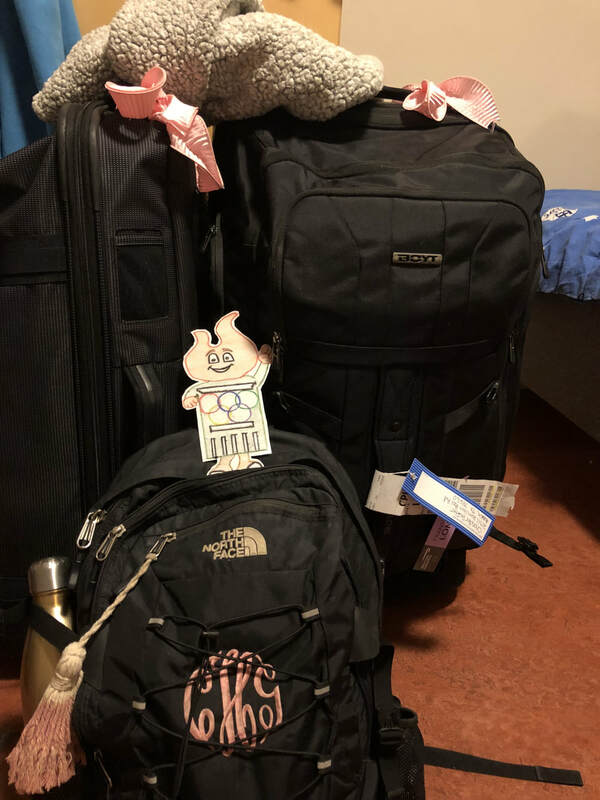 I made Torchy, so my AMAZING first grade class could follow along with my travels while I'm away. 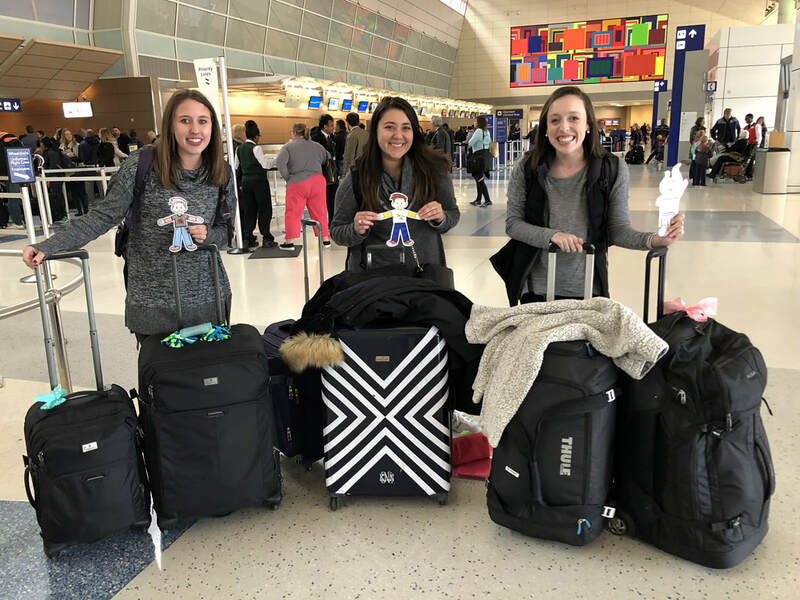 Me and my friends Hailey and KayLeigh at DFW Airport ready for our flight! 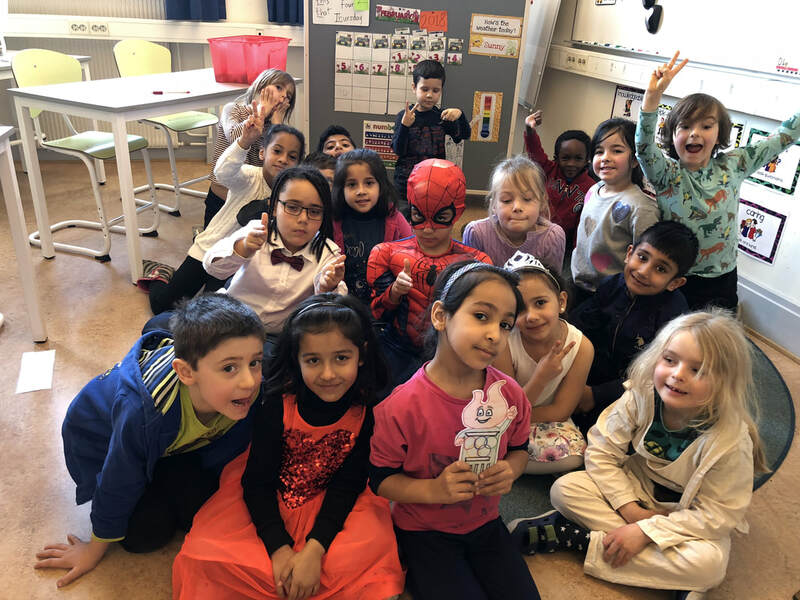 Can you spot their class's "Flat Stanley?" Yay! 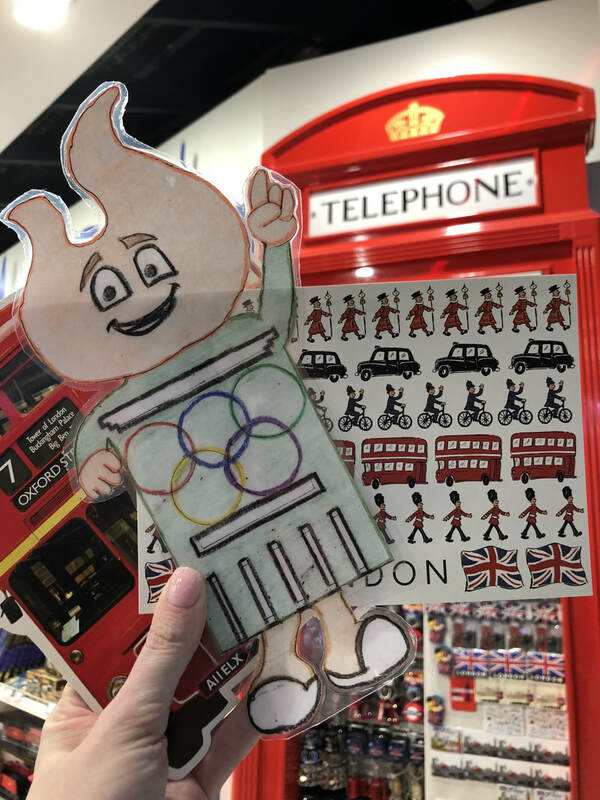 Torchy made it to London! We had plenty of time to do a little shopping and get some much needed food. The London airport is SOO big! 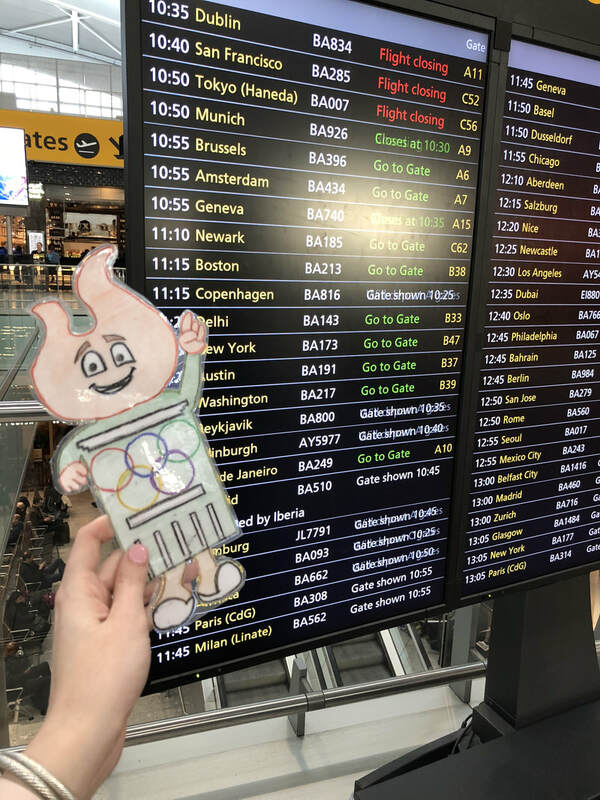 Torchy loved looking at where all the flights were going. 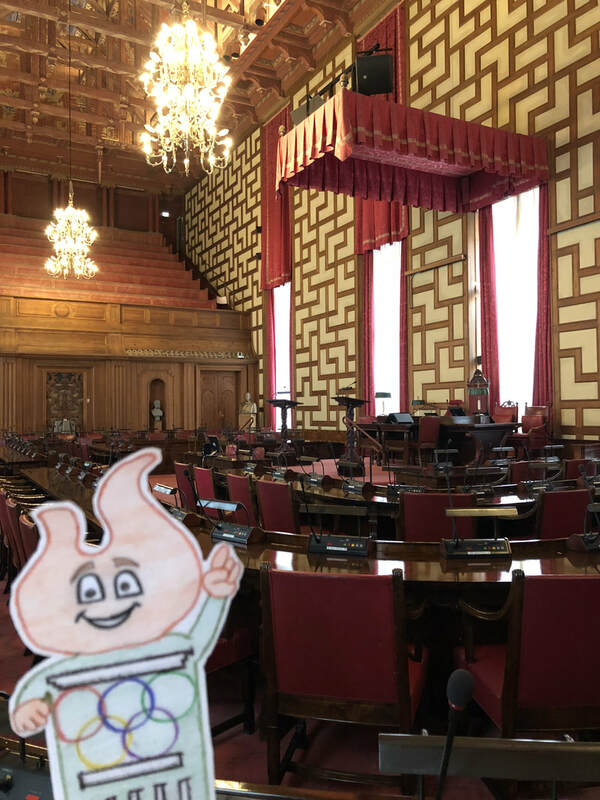 He even found our flight to Copenhagen! Do you know what country any of these cities are in? 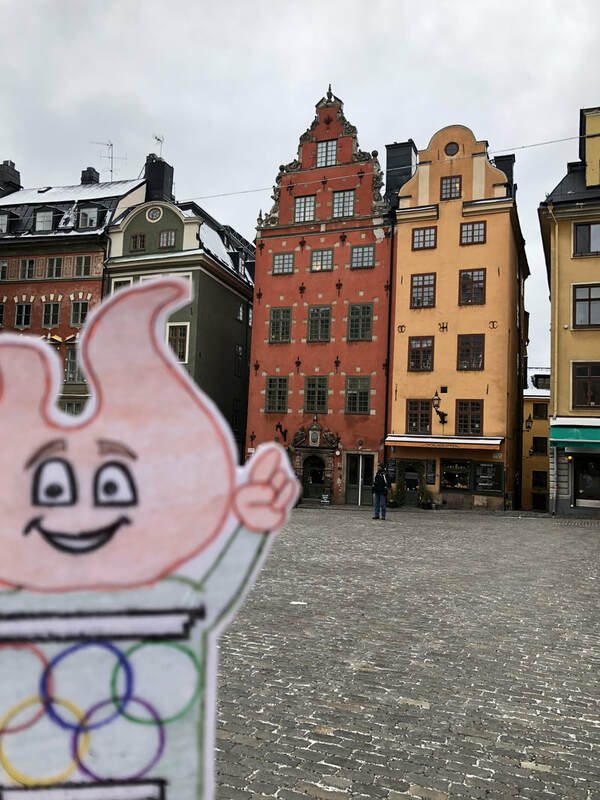 Torchy made it to Malmö!! How many different parts were there to my journey? 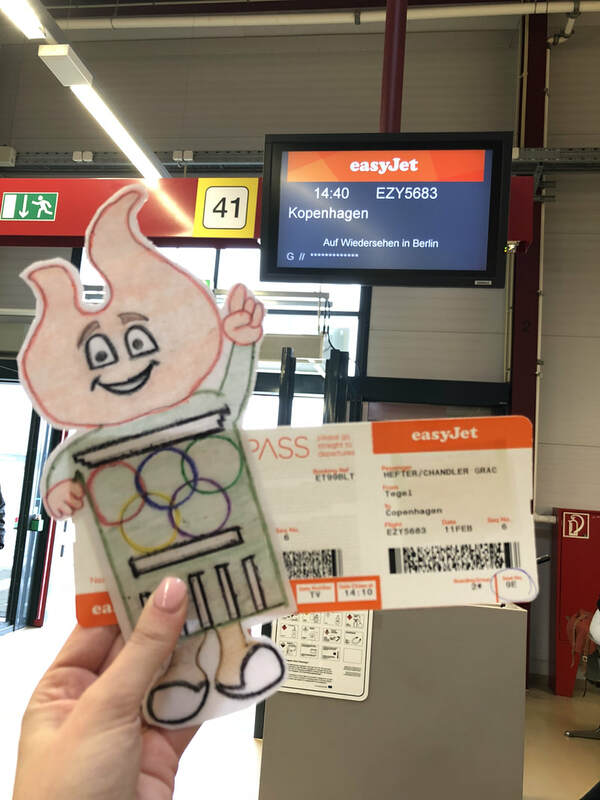 Torchy and the bags are packed for a weekend in Berlin, Germany! 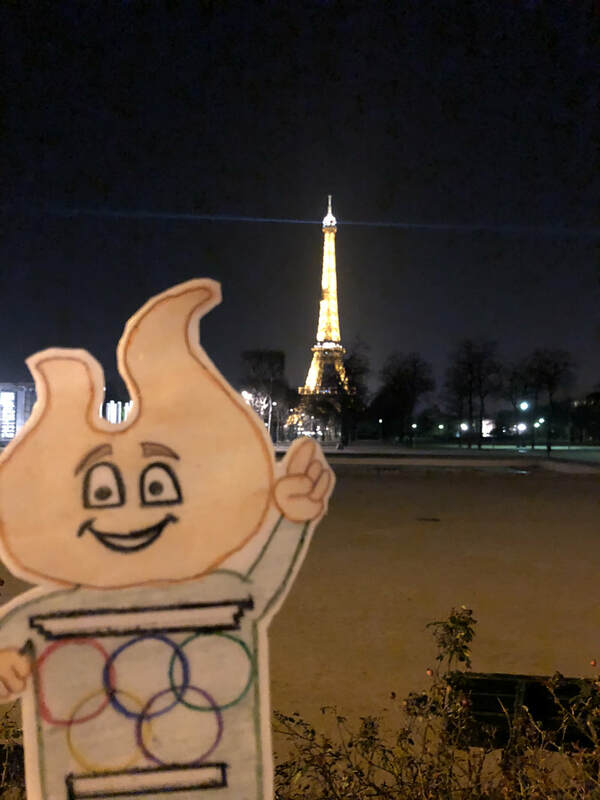 Check back soon to see what all Torchy gets to see in this historic city! 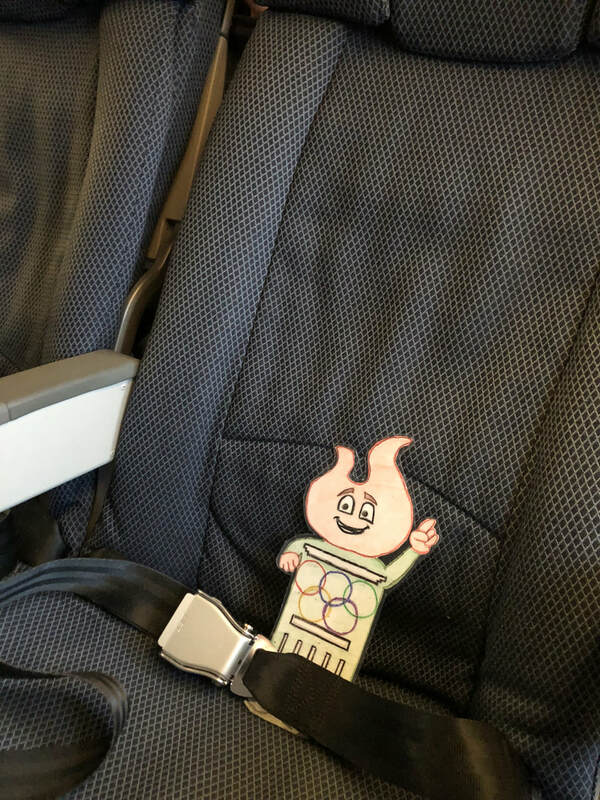 Torchy is all strapped in and ready for the 8 hour flight! How many 30 minute TV shows could he watch during the flight? 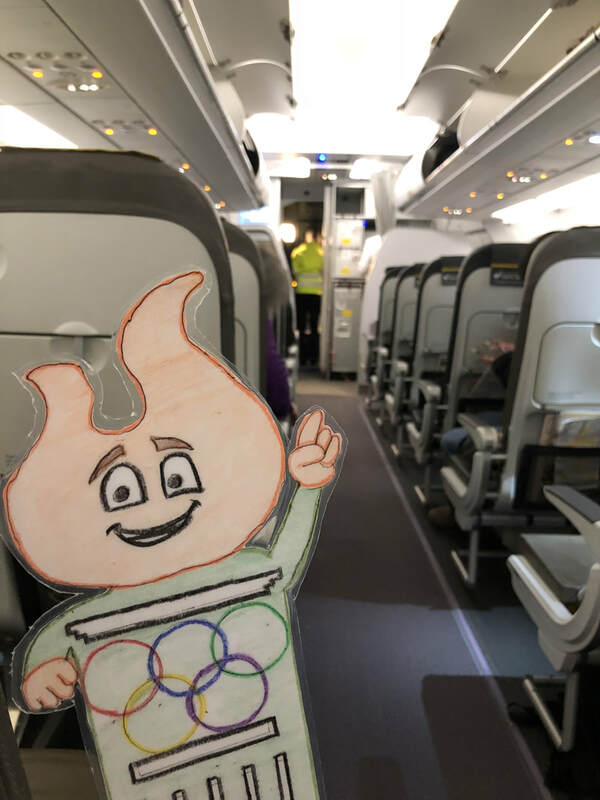 Torchy is ready for the short 2 hour flight to Copenhagen, Denmark! 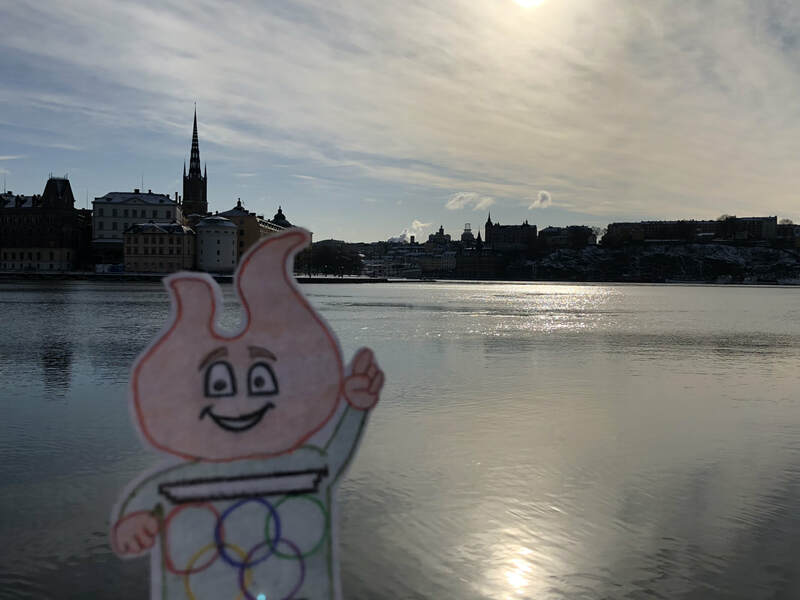 One step closer to Sweden! 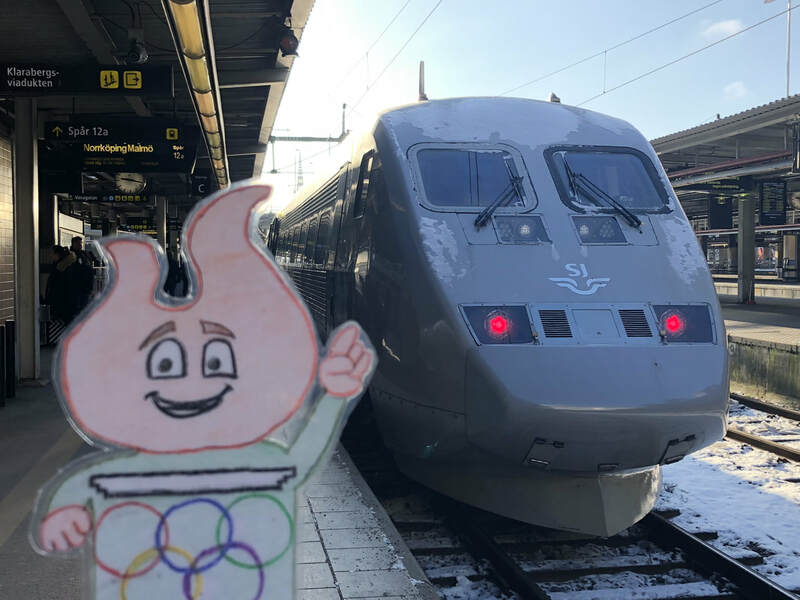 From there, we will take a train to our final destination, Malmö, Sweden. 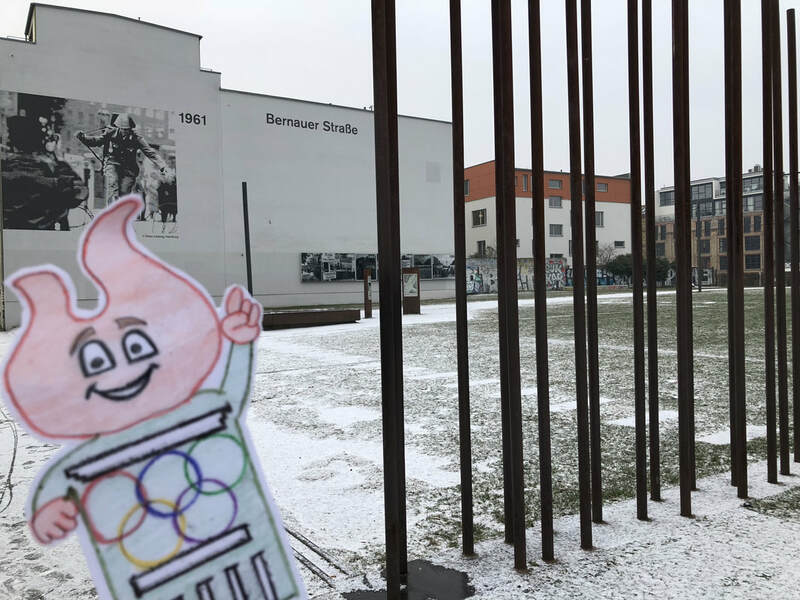 Here is a picture of Torchy and me outside the school I am teaching at here in Sweden. 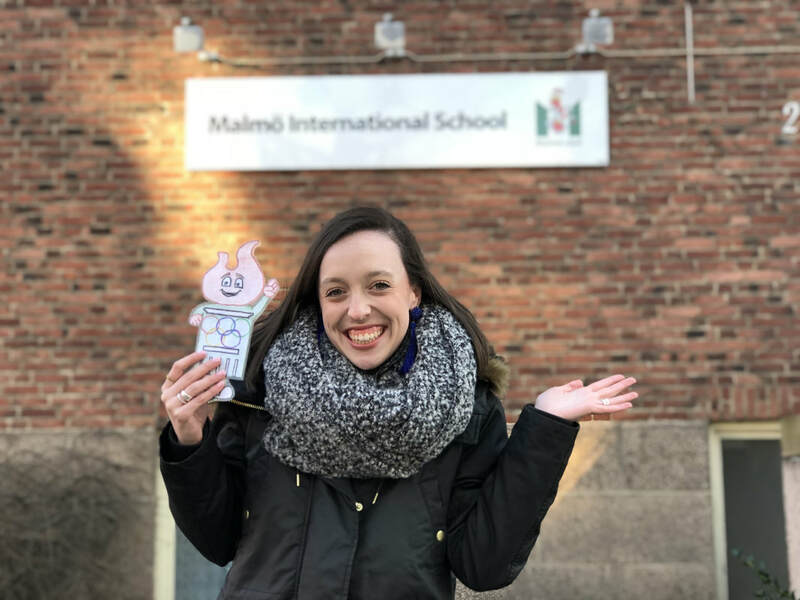 It's called Malmö International School! The school has students from all over the world. Some of them in my class come from Africa, Pakistan, Saudi Arabia, Jordan, Korea, Argentina and many other countries! My class is first grade just like you! 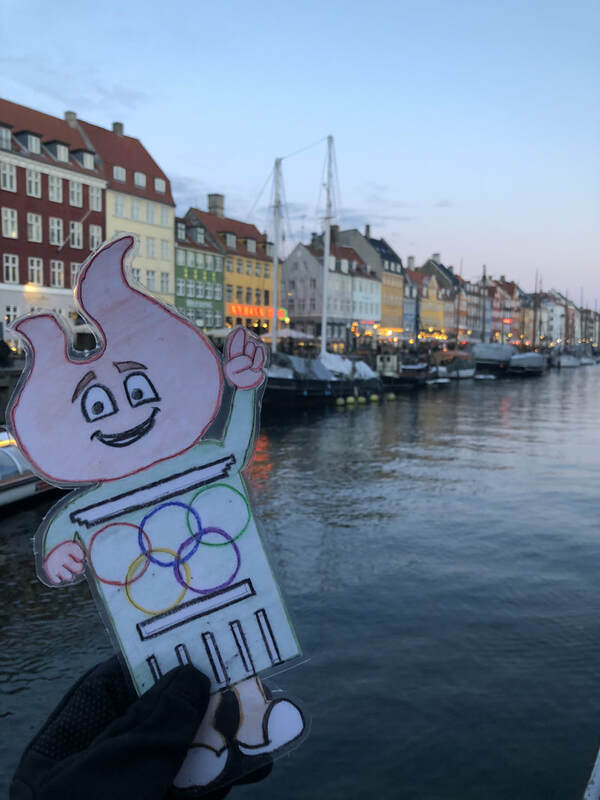 After school we took a quick train ride to Copenhagen to explore and have dinner. This row of colorful houses is called "Nyhavn." Here is my sweet class with Torchy! 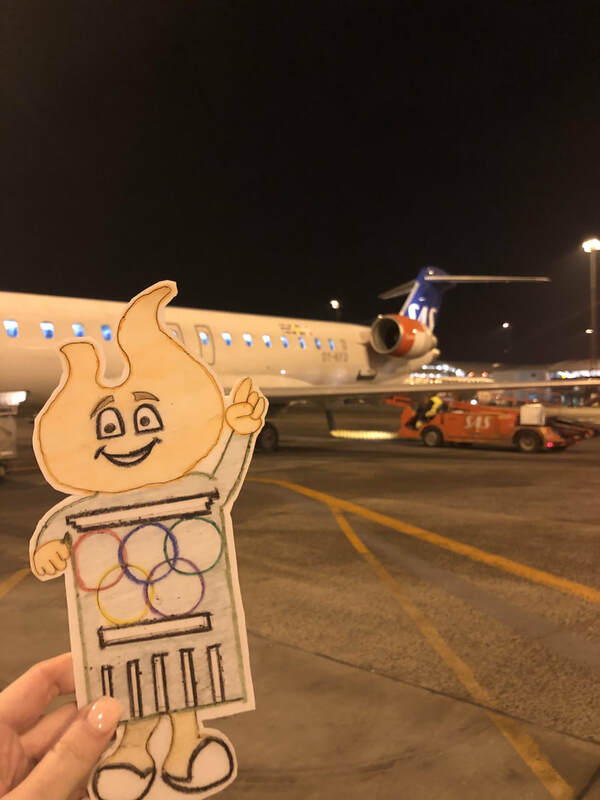 Torchy is ready for the flight to Berlin! We left at 8:20pm and the flight was 40 minutes. What time did we land in Germany? 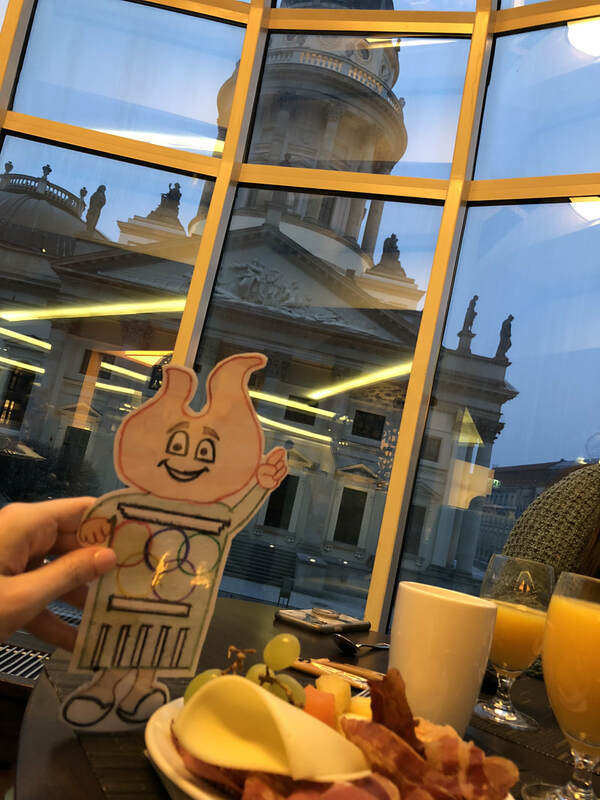 Torchy got to enjoy his breakfast with a view! 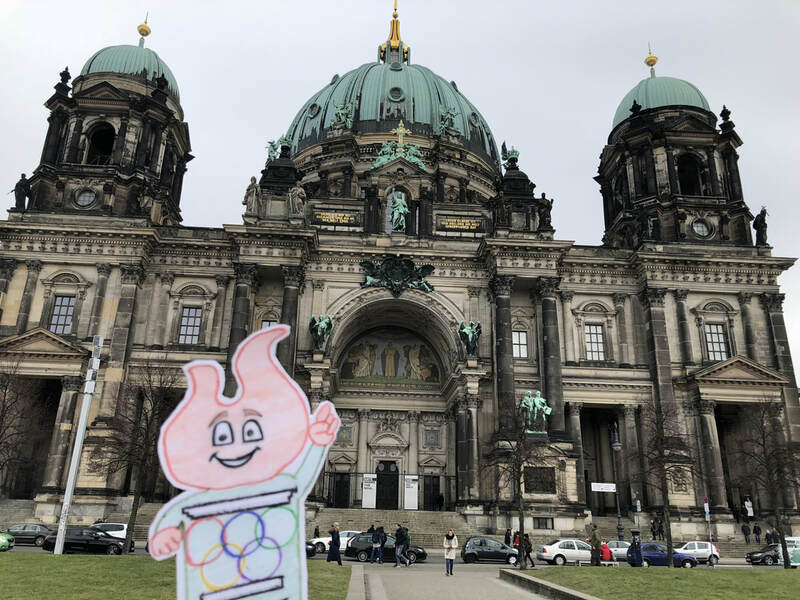 What do you think that building behind him could be? 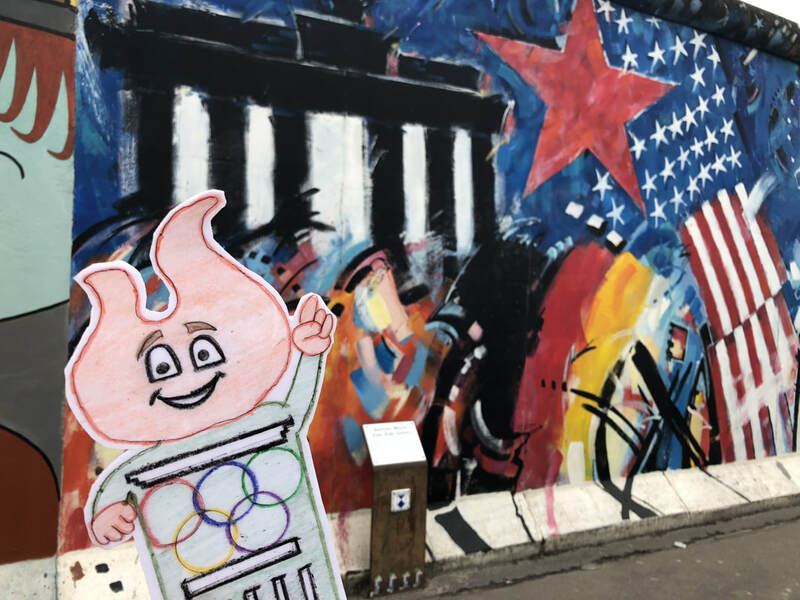 The Berlin Wall began to be constructed in 1961. How many years ago was that? 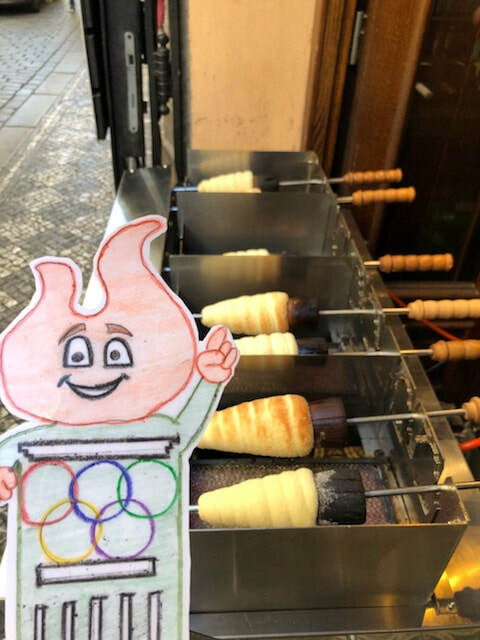 Even torches need to eat lunch!!!! 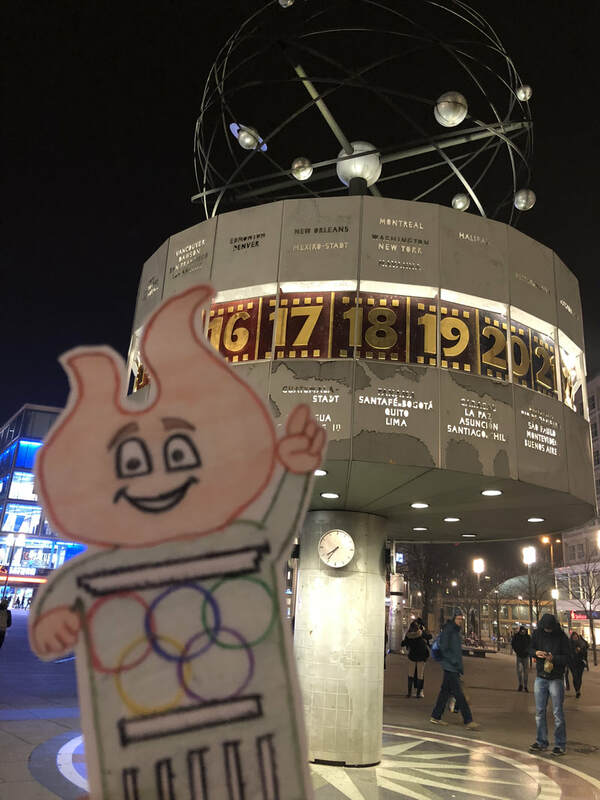 Torchy at the World Clock! The World Clock displays the 24 world time zones. 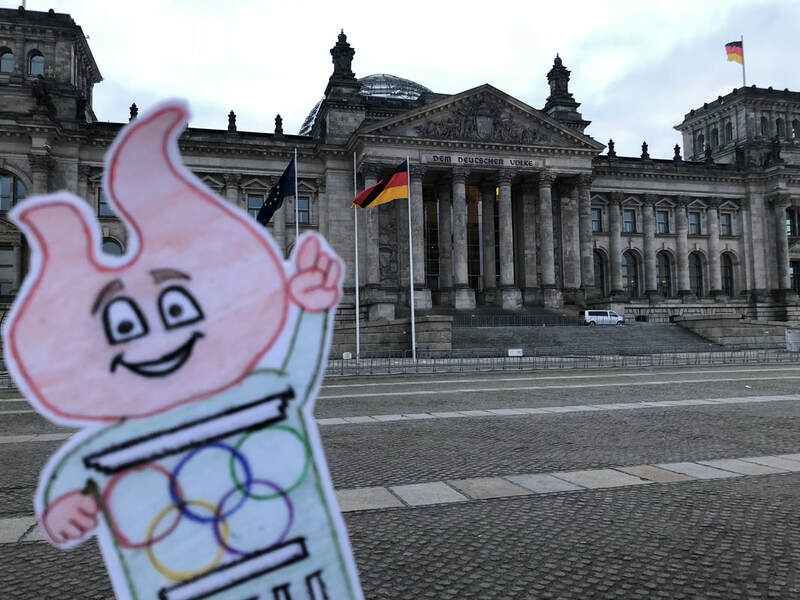 Torchy outside the Reichstag building. Did you know Germany has a president just like America? 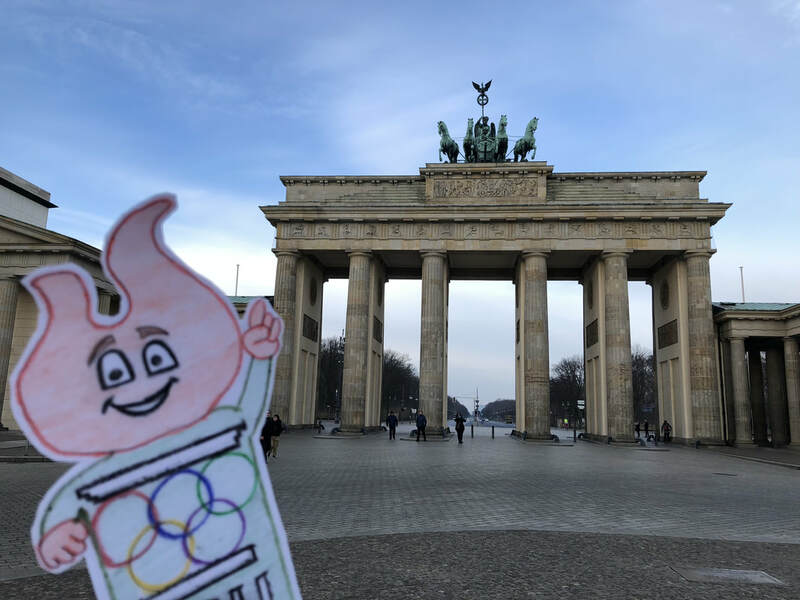 The Brandenburg gate was one of my favorite stops in Berlin. What do you think Torchy's was? 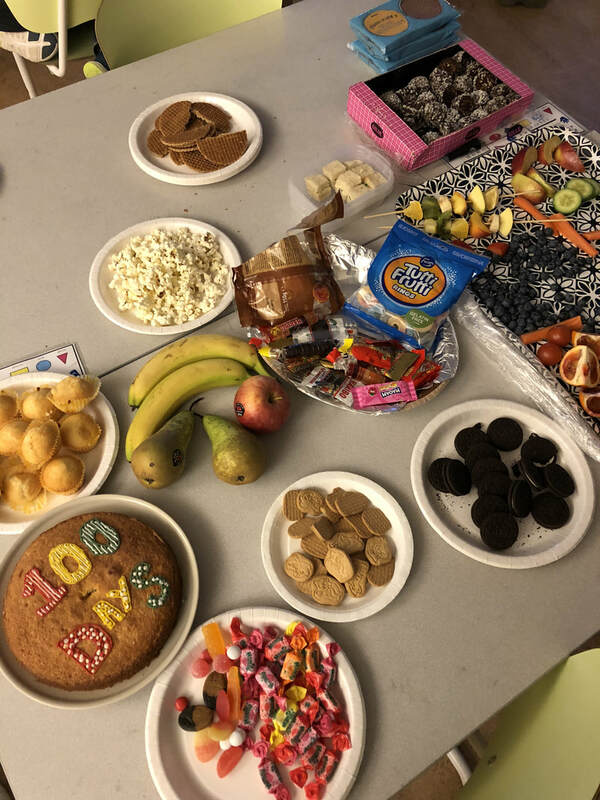 Just like in America, we also celebrated the 100th day of school! Our party was 3 days after yours. When did they start school in Sweden then? 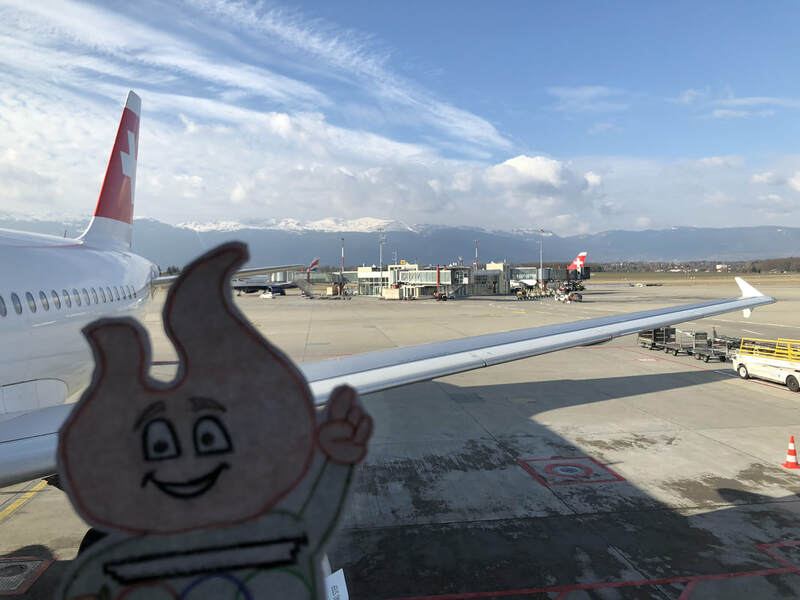 Torchy LOVED getting to walk onto the plane from outside! 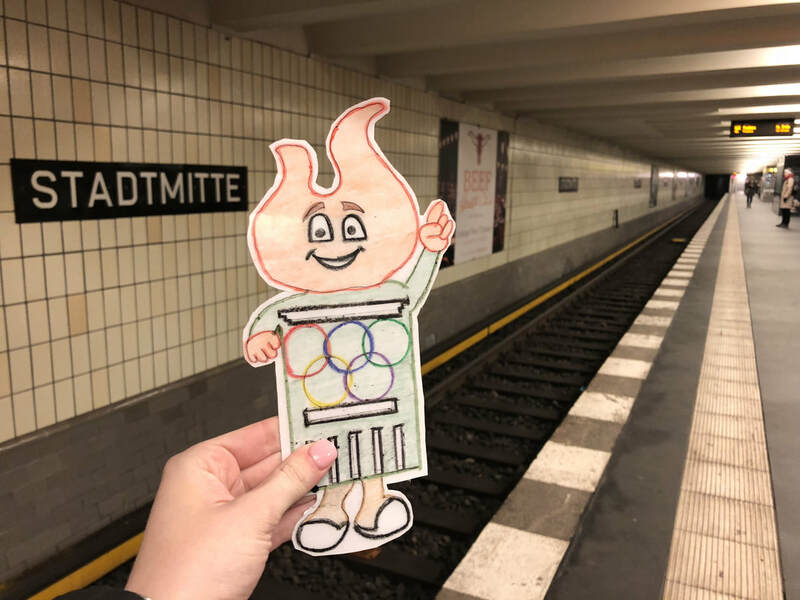 Torchy thought it was so fun to get around all day using the underground! 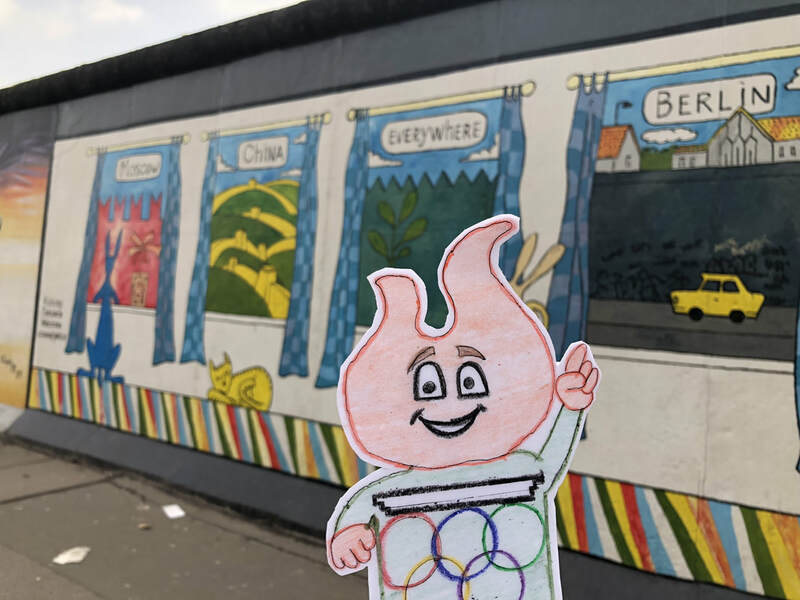 Torchy admiring the art work painted on the Berlin Wall at the East Side Gallery. What do you see in this painting? 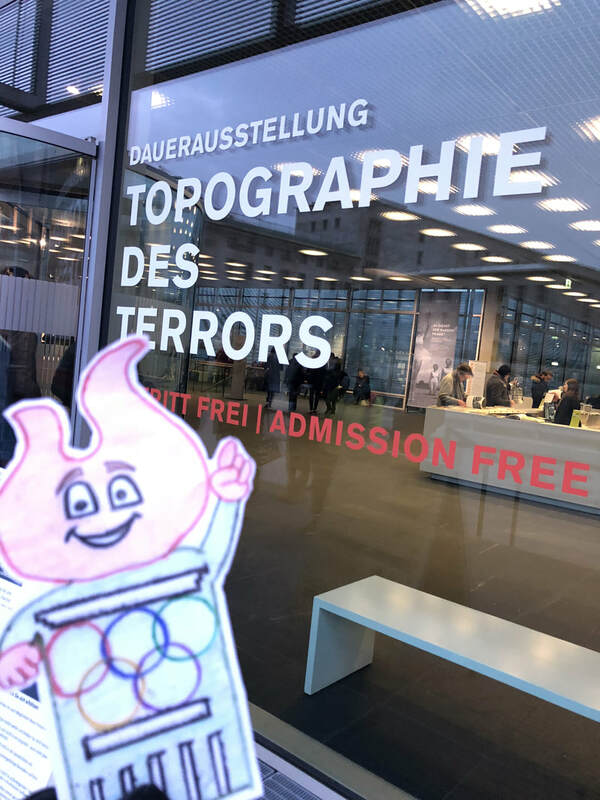 Torchy outside a museum, but uh oh the title is written in German. Can you help him figure out what it says? The TV tower is an iconic symbol of Berlin. What are some iconic symbols of Fort Worth? 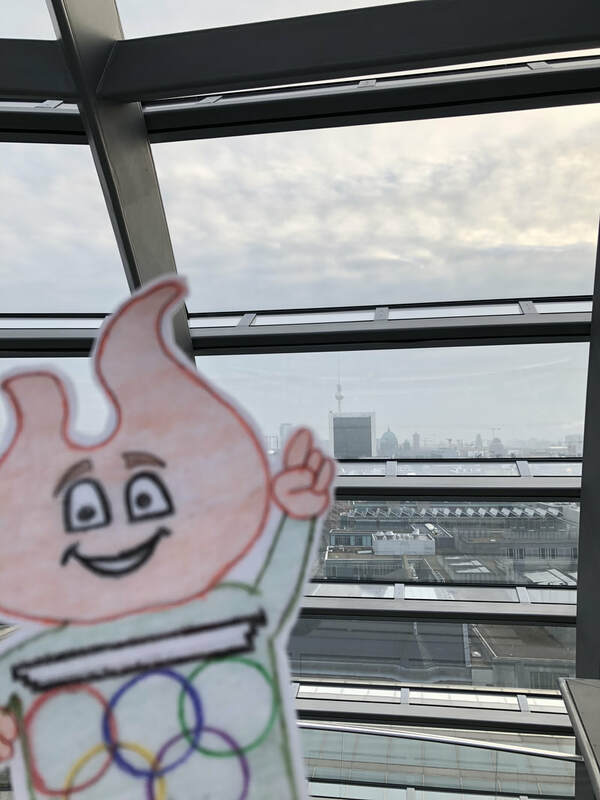 Torchy at the top of the dome on the Reichstag building. 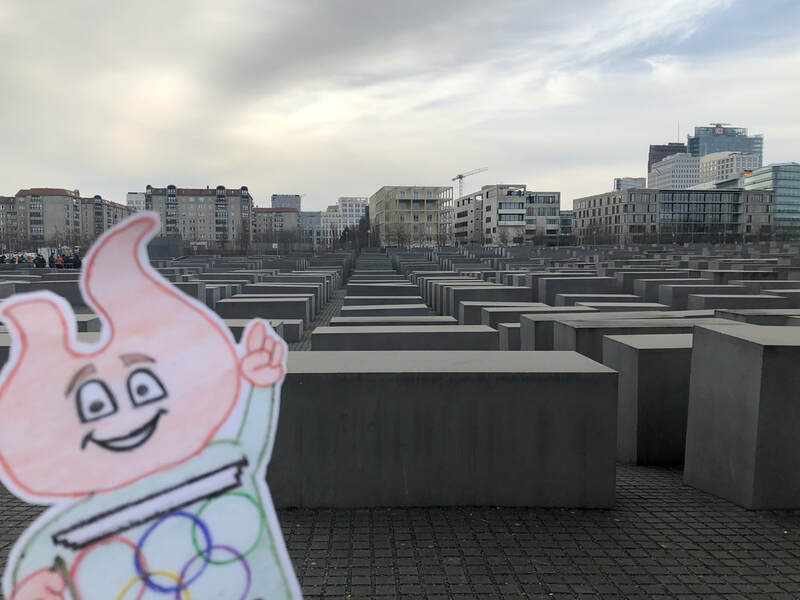 I spy an iconic symbol of Berlin in the distance. Can you?? 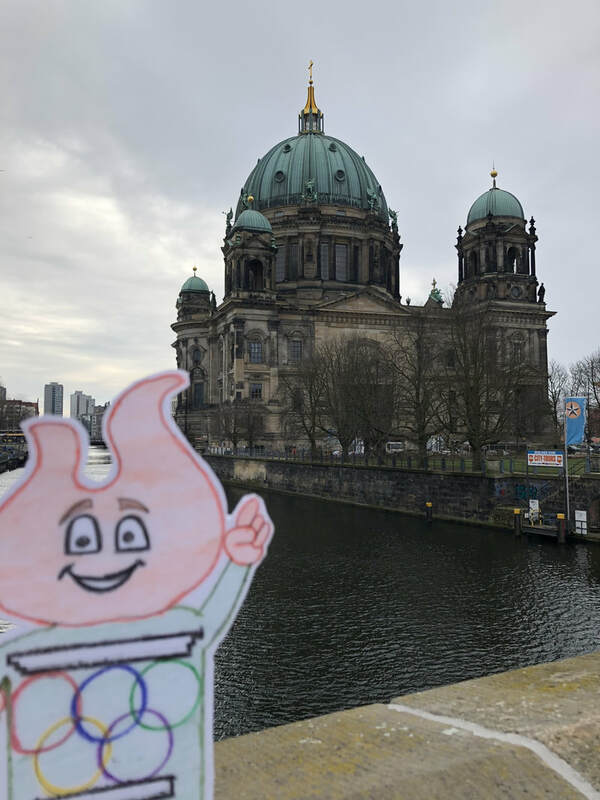 Torchy pointing us towards Museum Island, Berlin's own private island home to 5 different art and archeology museums! 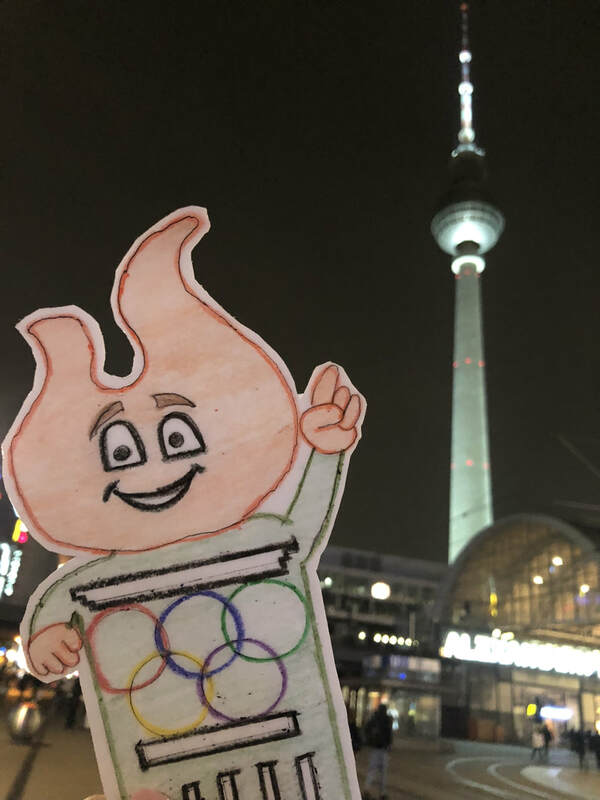 Torchy was sad to leave Berlin, but he also knows that means only 3 more weeks until he's back at Nola Dunn with Mrs. Shaffer's class!! 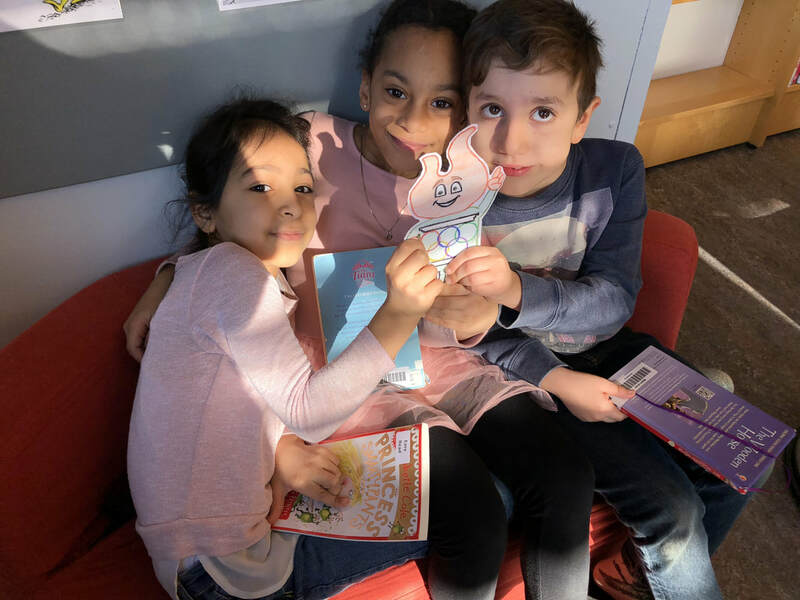 Some of my sweet 1b students reading with Torchy in the library. Many of them speak other languages at home, but are learning to read in English just like you! P A R I S !! 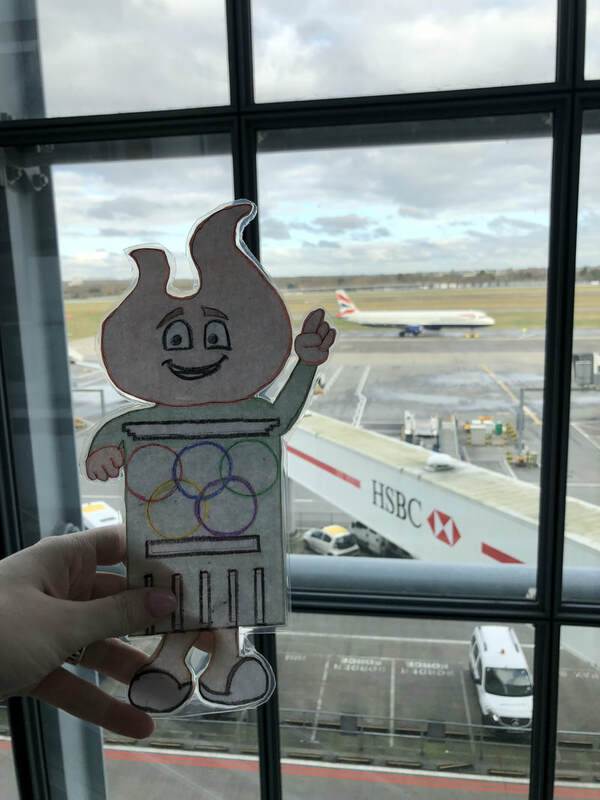 Torchy is ready for the flight to Paris! We left Copenhagen airport at 8:10 and landed in Paris at 10:05. How long was our flight? We climbed 387 steps to the top of Notre Dame! Wow. How much would a 100 more steps be? A 100 less? 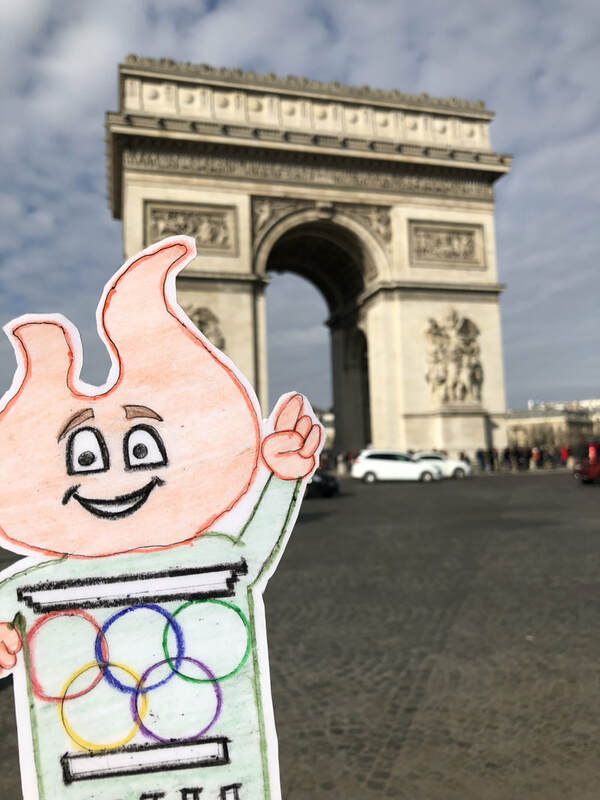 Torchy at the Arc de Triomph! What english words does that sound like? The Eiffel Tower was built by Gustave Eiffel in 1887. Did you know there is an apartment at the top of the tower? 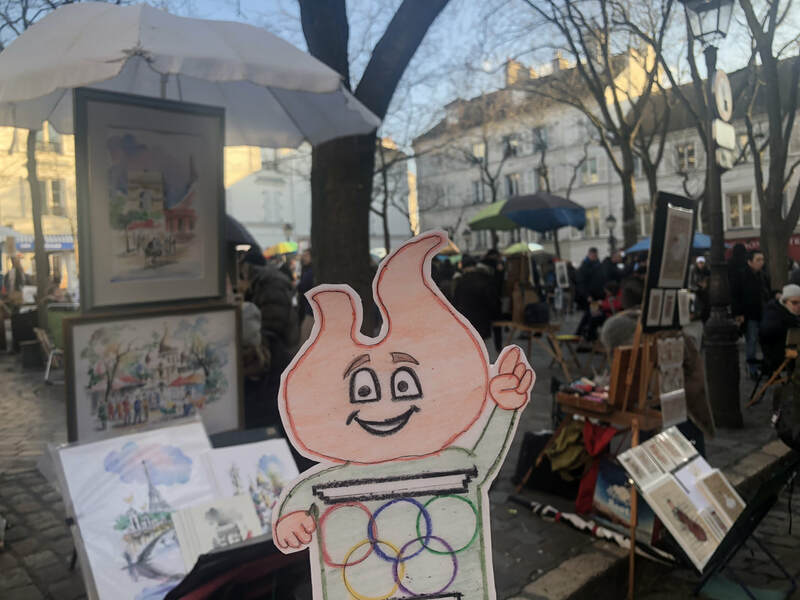 The art at Montmartre was beautiful and Torchy wished he could bring it all home! 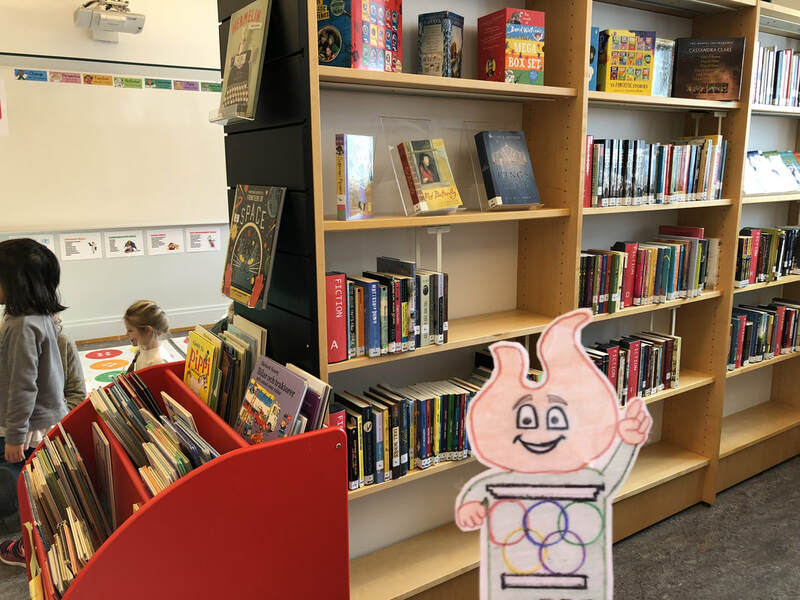 Malmö International School's library is much smaller than Nola Dunn's library. Can you spot any similar books? 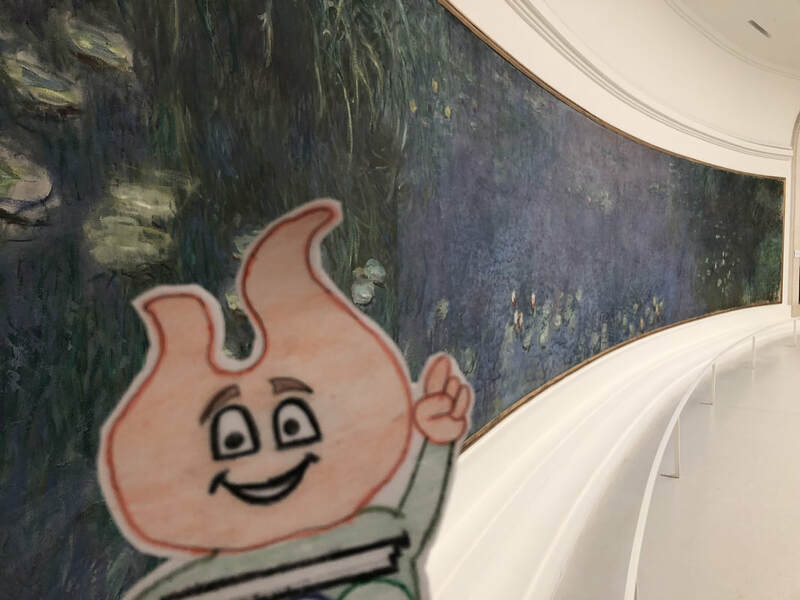 Here's Torchy at the Louvre! What three demential shape is this? Where else in the world can you find it? 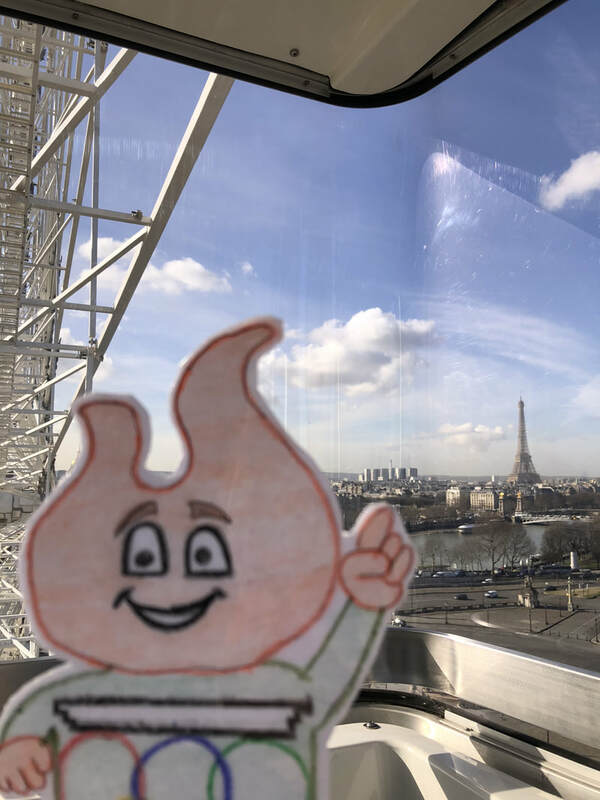 Torchy riding the Ferris wheel! 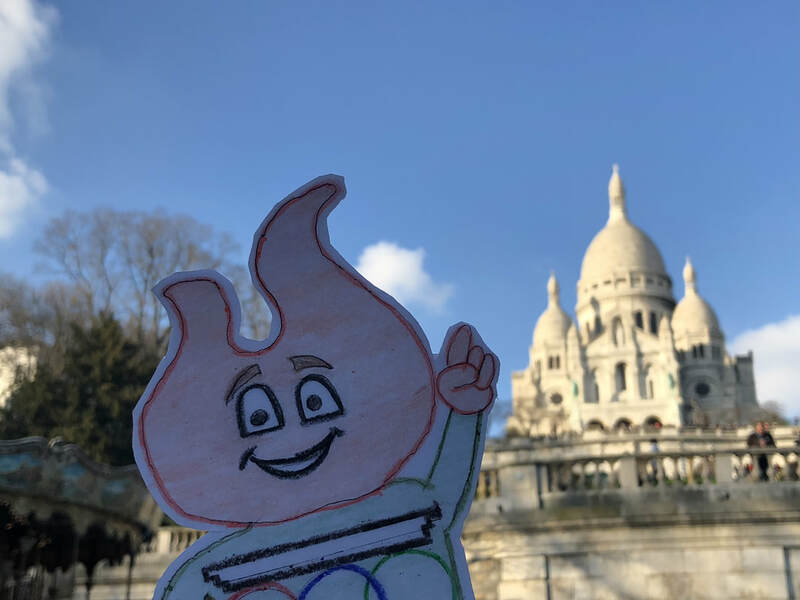 Can you spot one of my favorite places in Paris behind him? 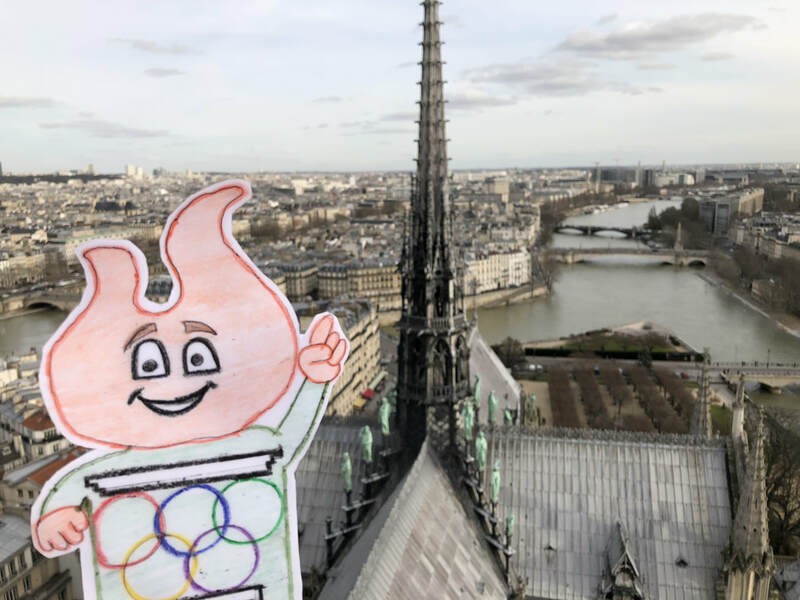 Another picture of Torchy on top of Notre Dame. 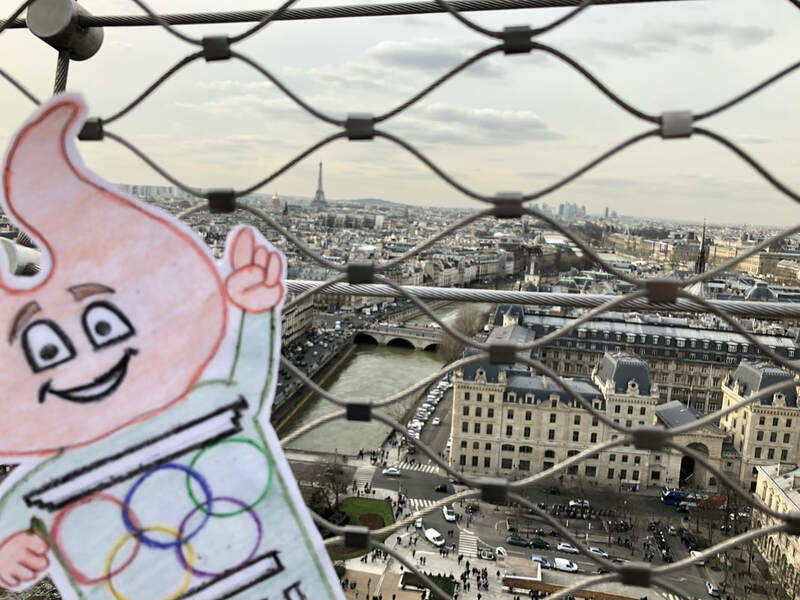 You can see the Seine River, the river that runs through Paris, behind him. The Paris Opera House, or Palais Garnier, was completed in 1875. How many years ago was that? 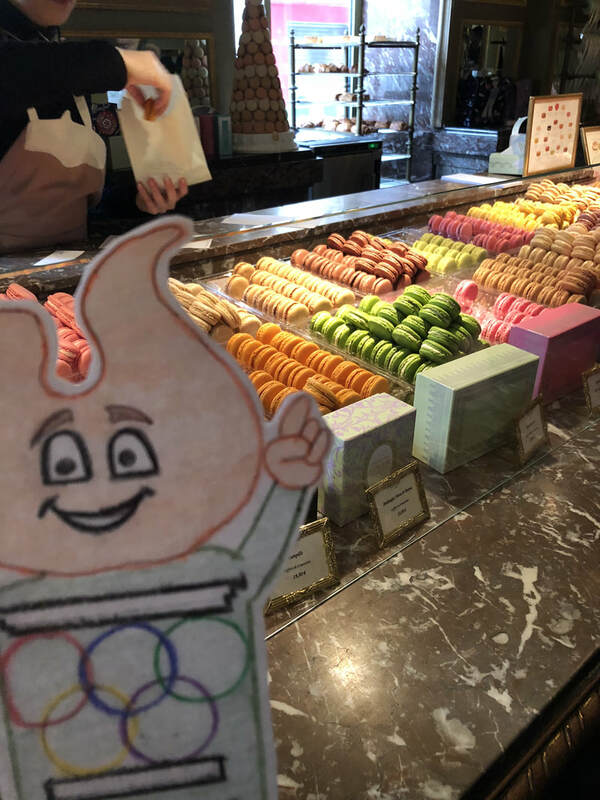 Torchy LOVES macaroons!!!! Have you ever tasted one of these yummy treats before? 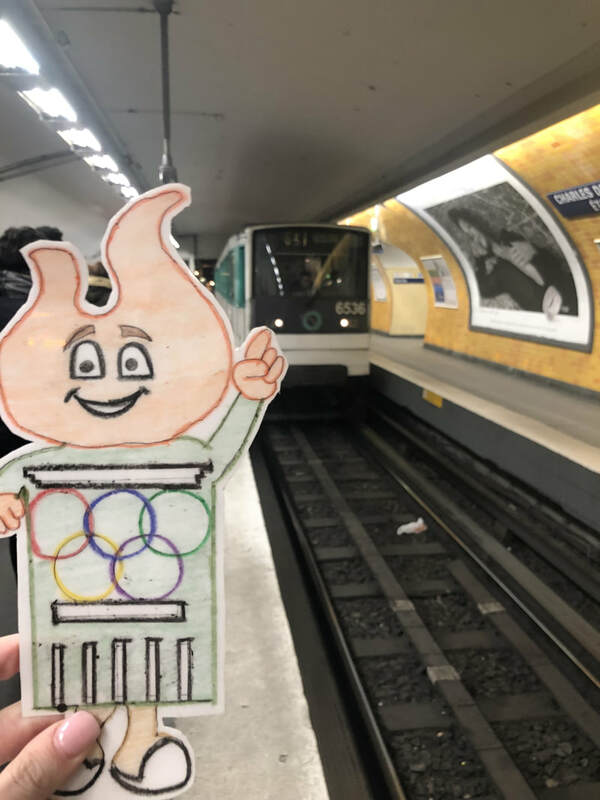 Torchy loved riding the subway! 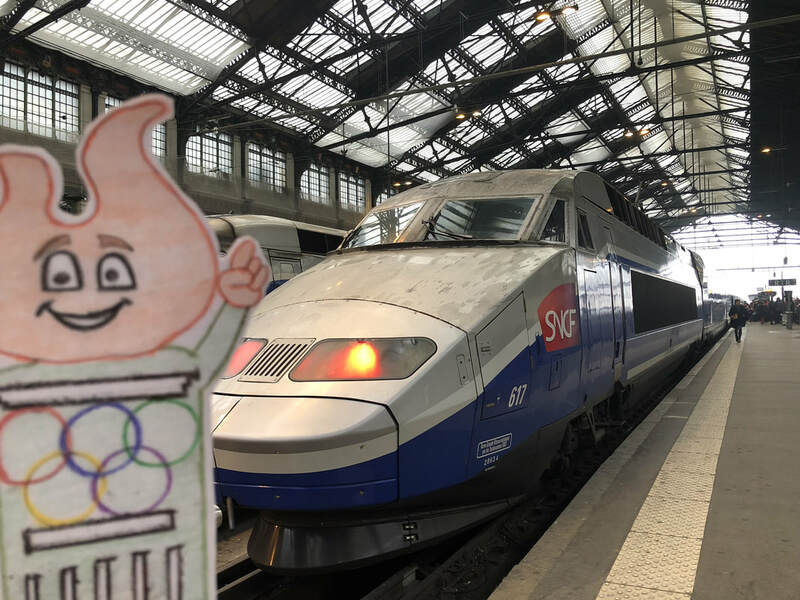 It was the cheapest and quickest way to travel around Paris. Could you imagine riding the subway to school each morning? Isn't the Eiffel Tower even more beautiful at night? The Eiffel Tower is 324m tall and the Empire State Building is 443m tall. Which one is taller? By how much? S W I T Z E R L A N D !! 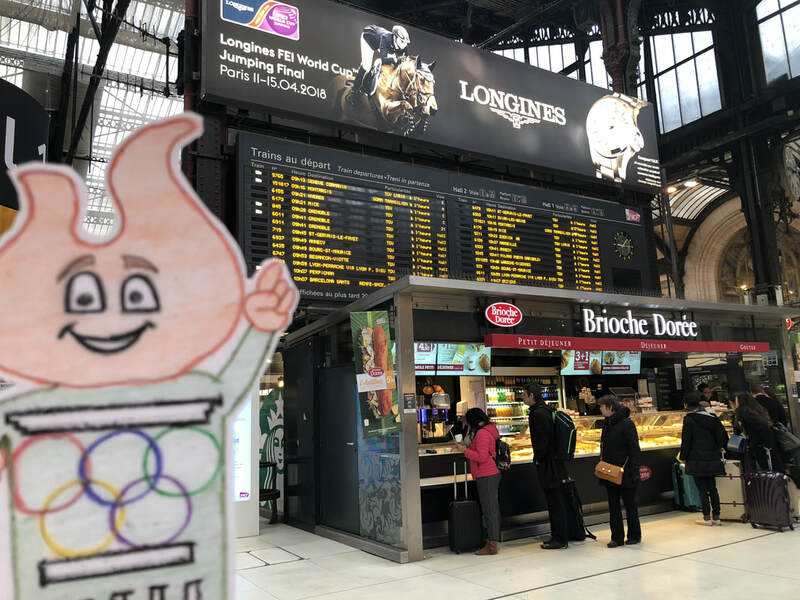 Torchy was ready for the train ride to Geneva! 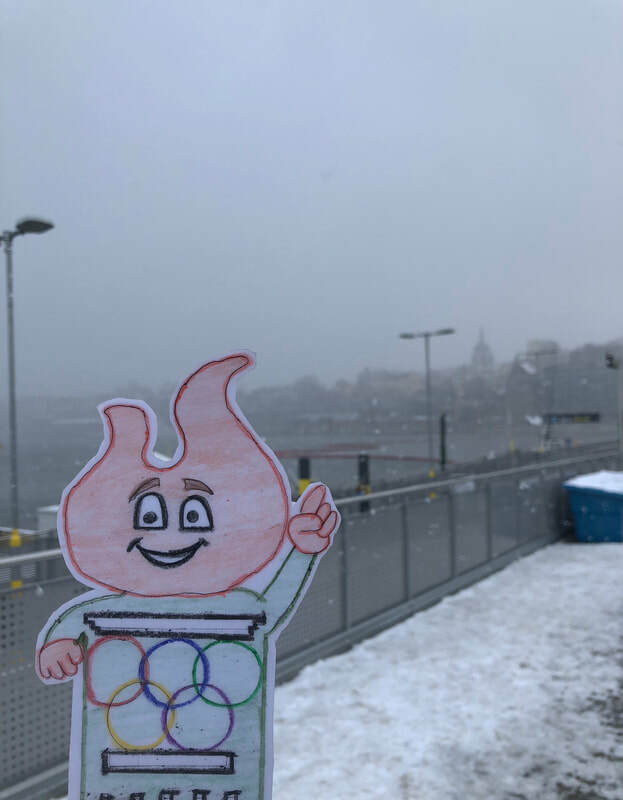 Here's Torchy at the spot where the lake and river meet. 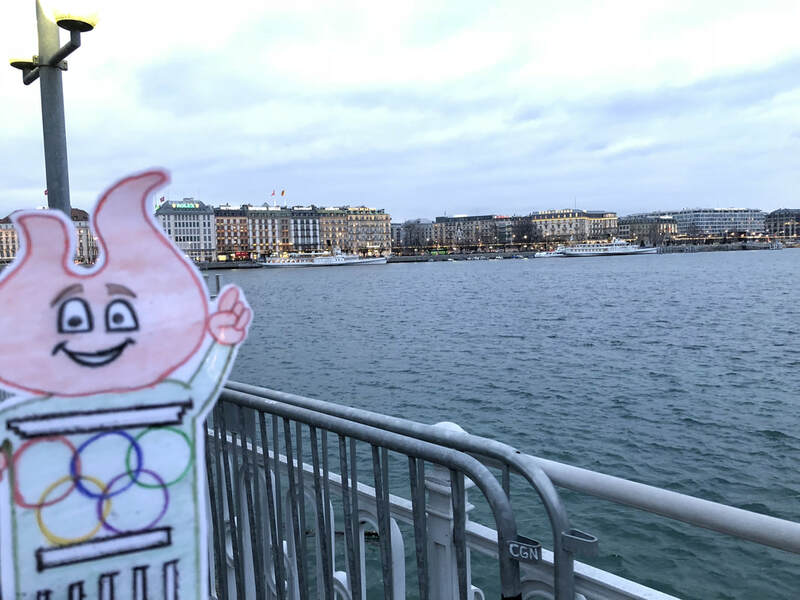 Can you guess which one is Lake Geneva? If you guessed the more clear one you are correct! 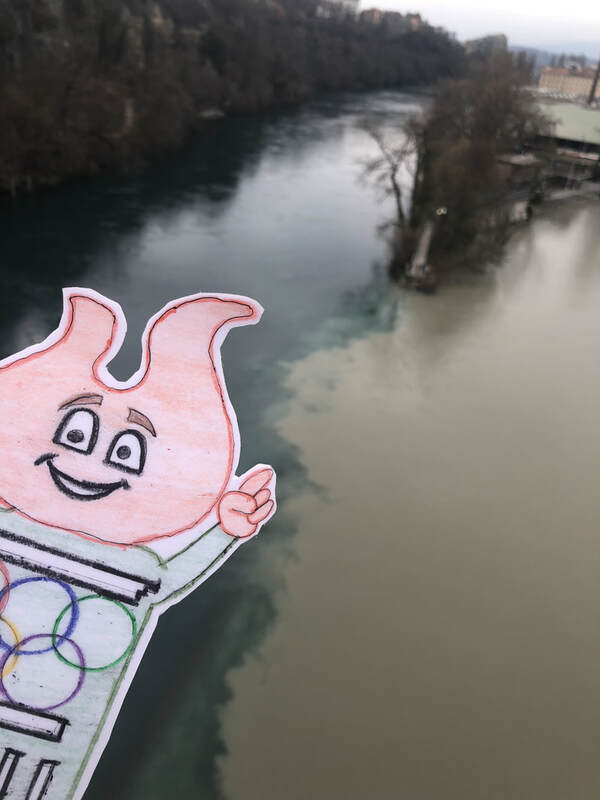 The river is called the Arve and it gets most of it's water from glaciers in the Chamonix valley where we are going tomorrow! Up the cable car we go! 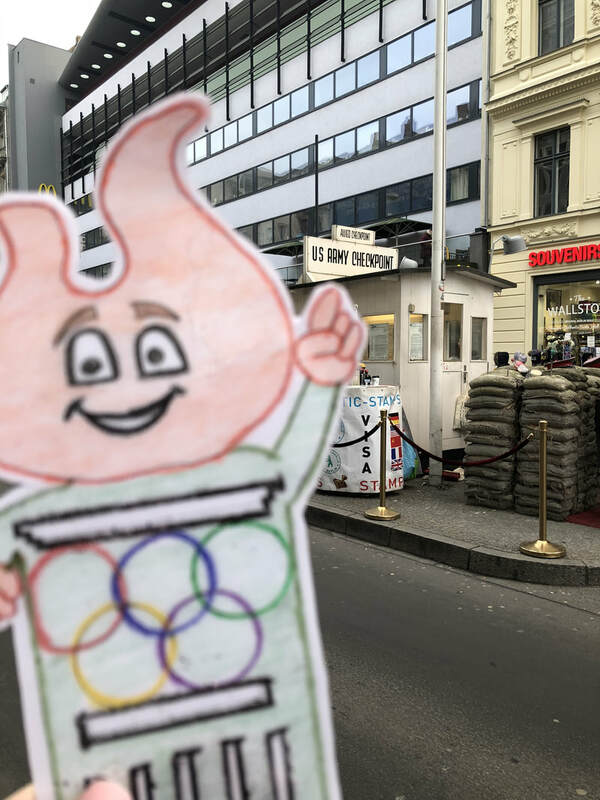 Torchy was soo excited! 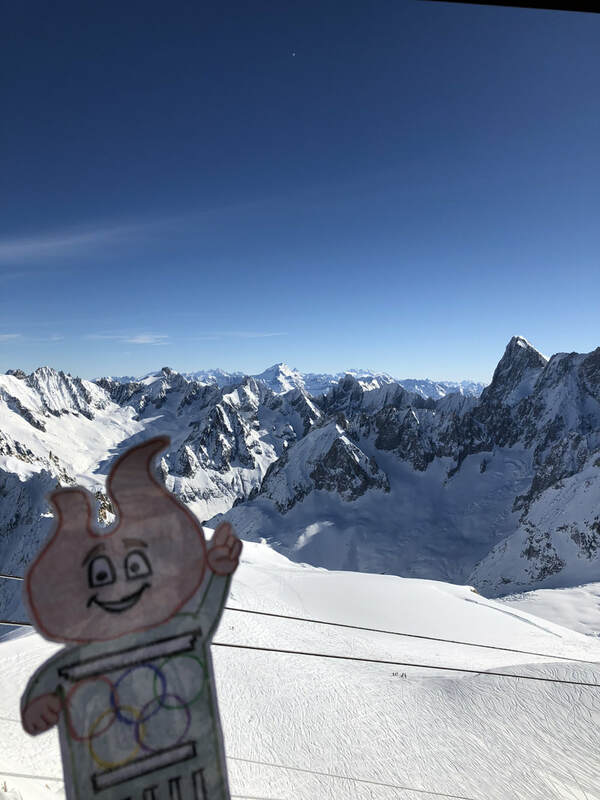 Torchy at the top of Mount Blanc! How high do you think he is? 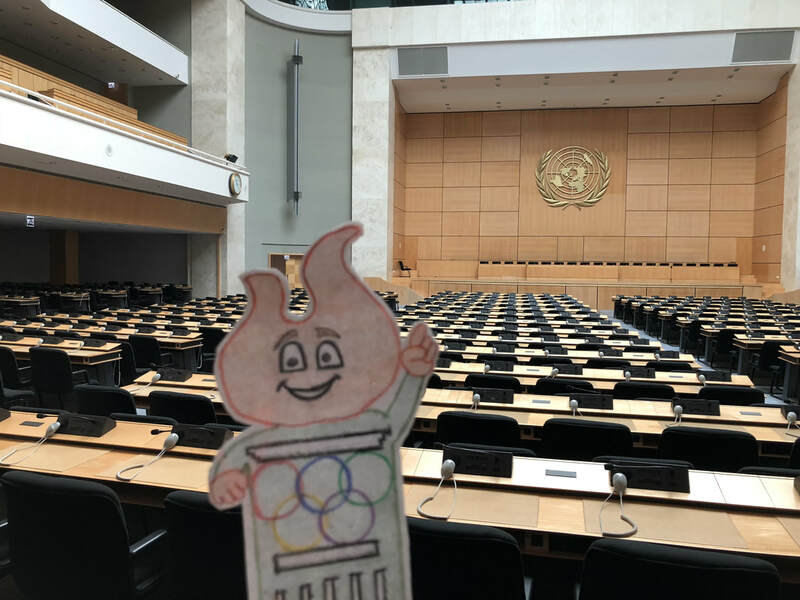 Torchy in one of the many meeting rooms inside of the UN. Who do you think sits up on the second level? If you guessed interpreters and journalists than you are correct! 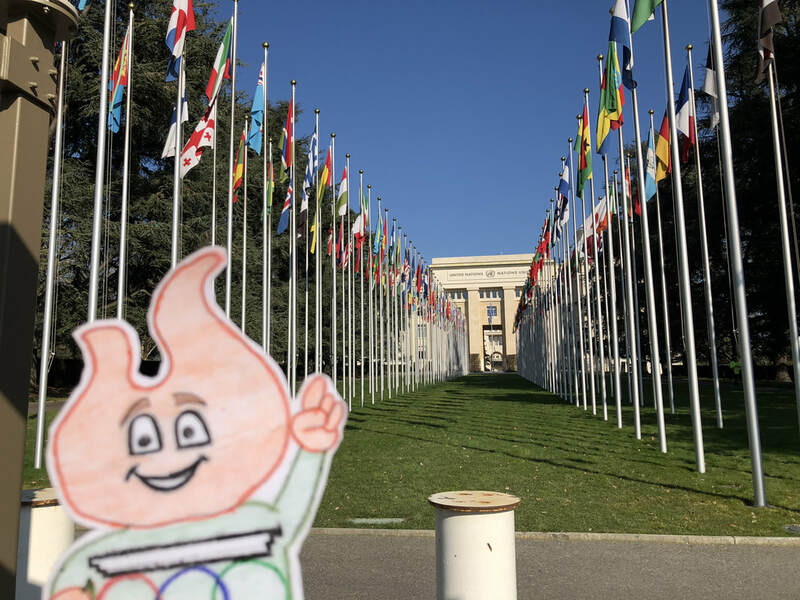 Torchy outside the United Nations building. The 193 flags represent the 193 countries that are a part of the organization. Do you recognize any country's flag? 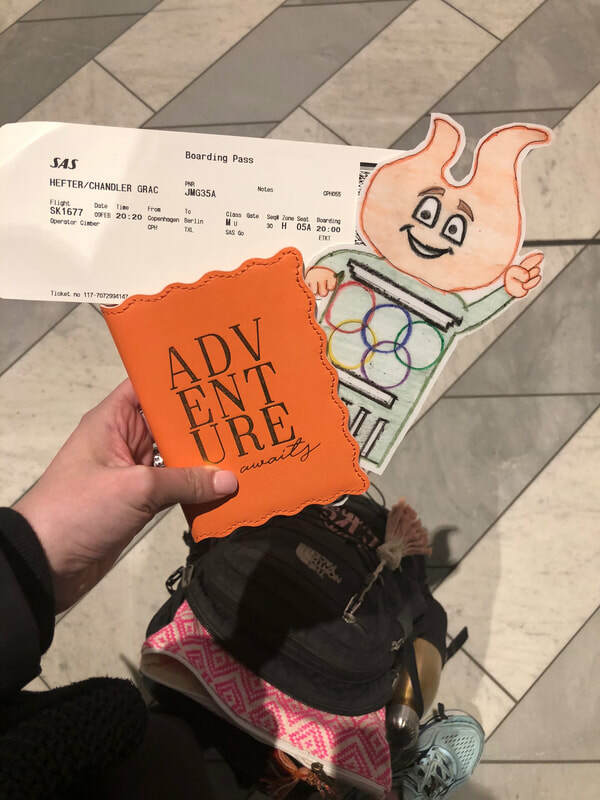 Torchy ready to jet off on his next adventure! 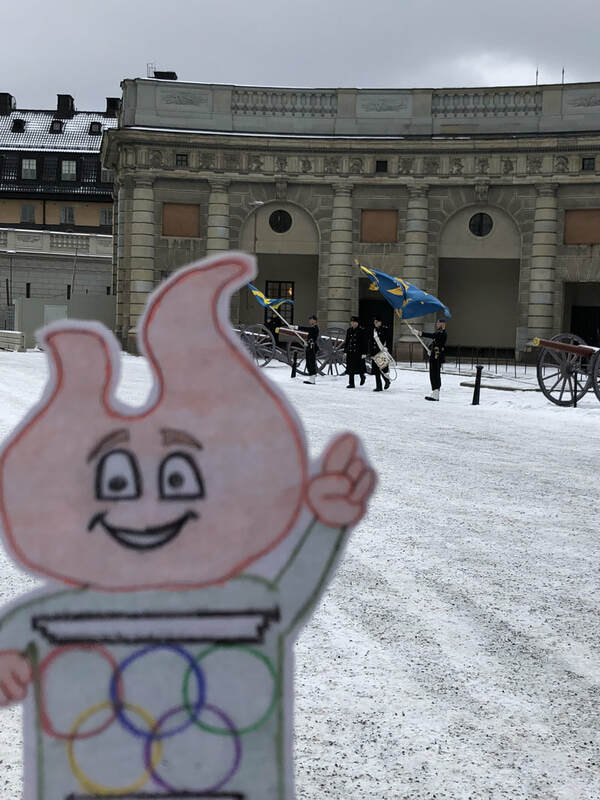 Can you spot the Swedish flag? What does it look similar too? 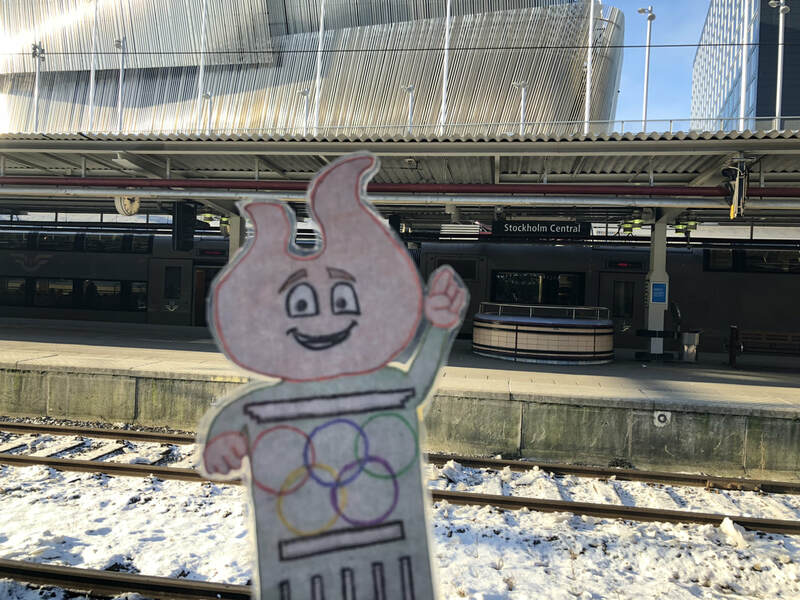 Torchy loves looking where all the other trains are going! Where would you want to take a train to? 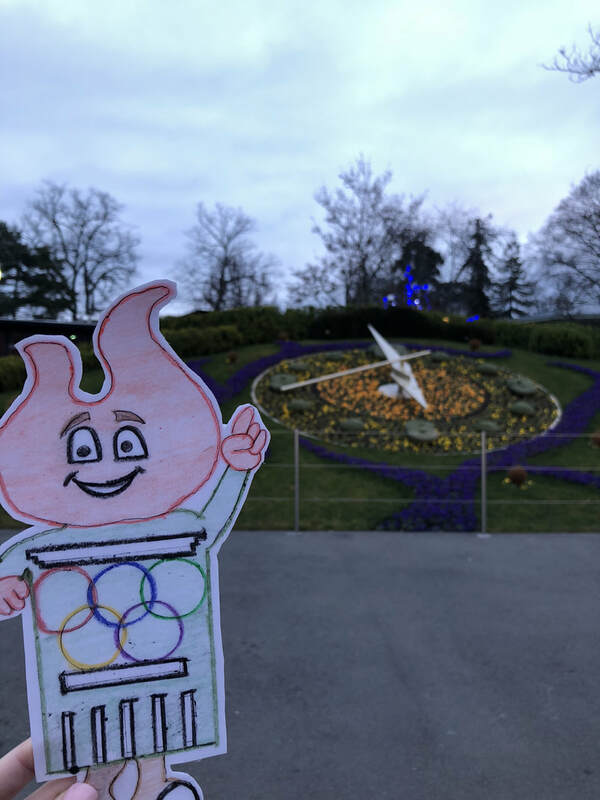 Torchy visiting the flower clock! The flower clock was created to pay tribute to Geneva being the mother of high-end watch making. Can you read what time it is? 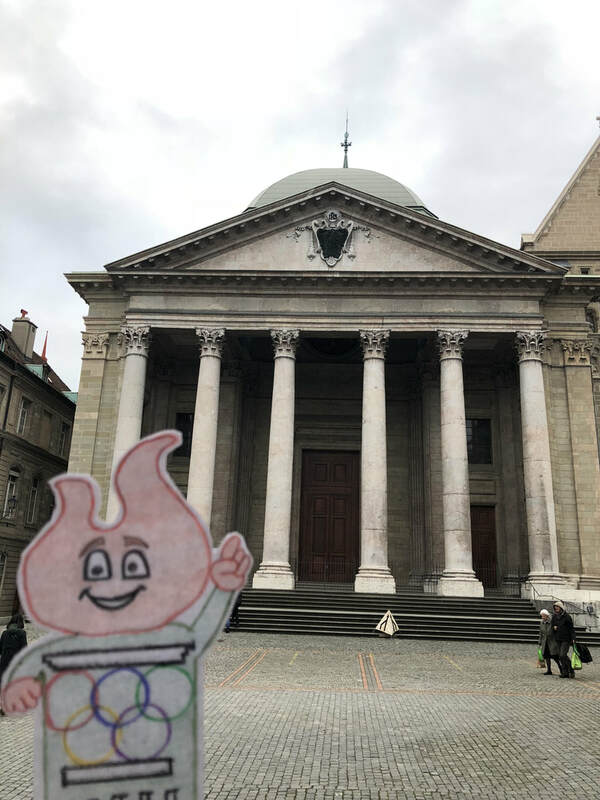 Torchy visiting St. Pierre's Cathedral. 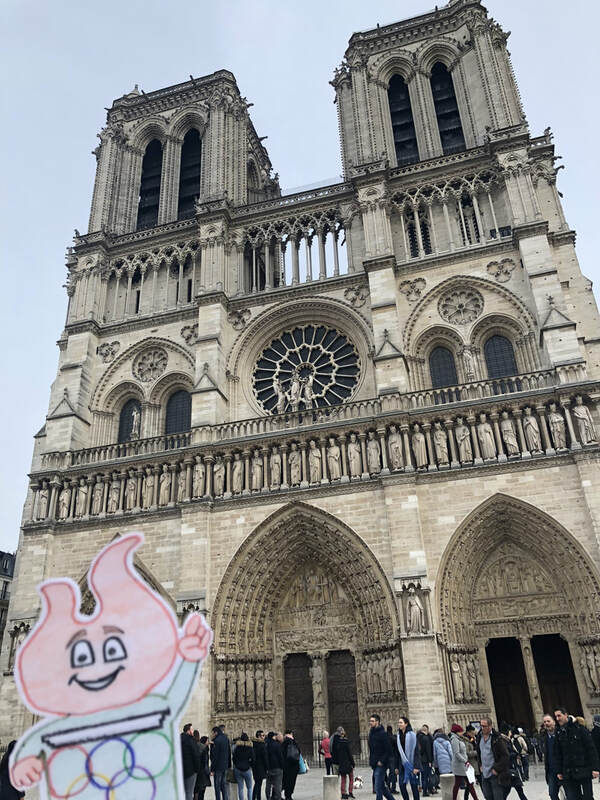 He liked Notre Dame better in Paris. What about you? 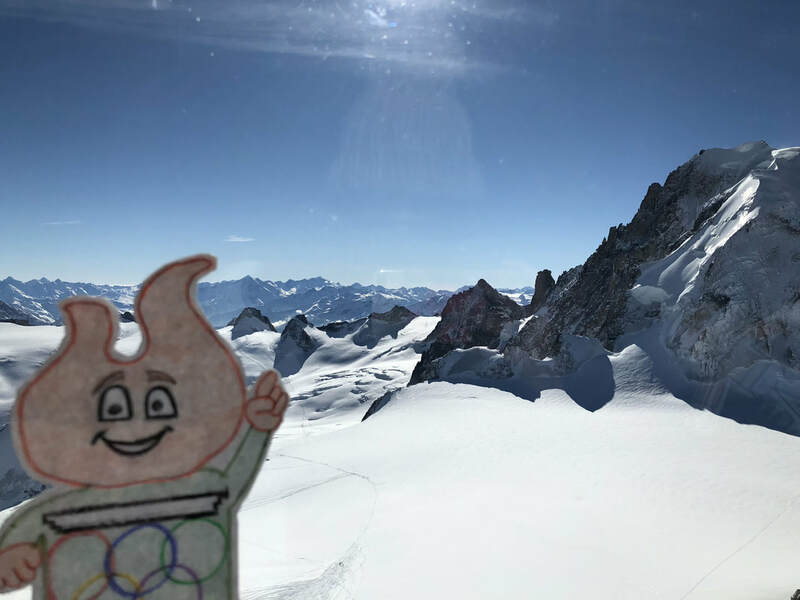 Another view from Mount Blanc. 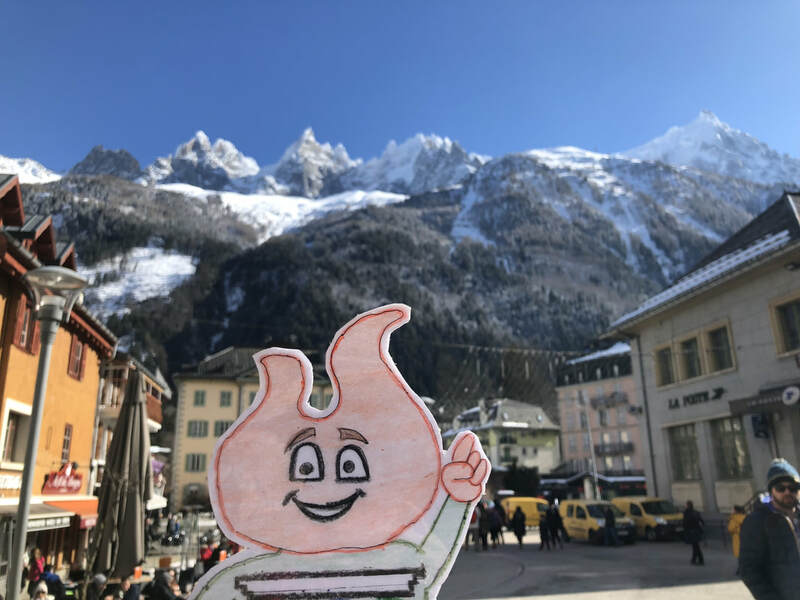 What do you think the mountain's name means in French? 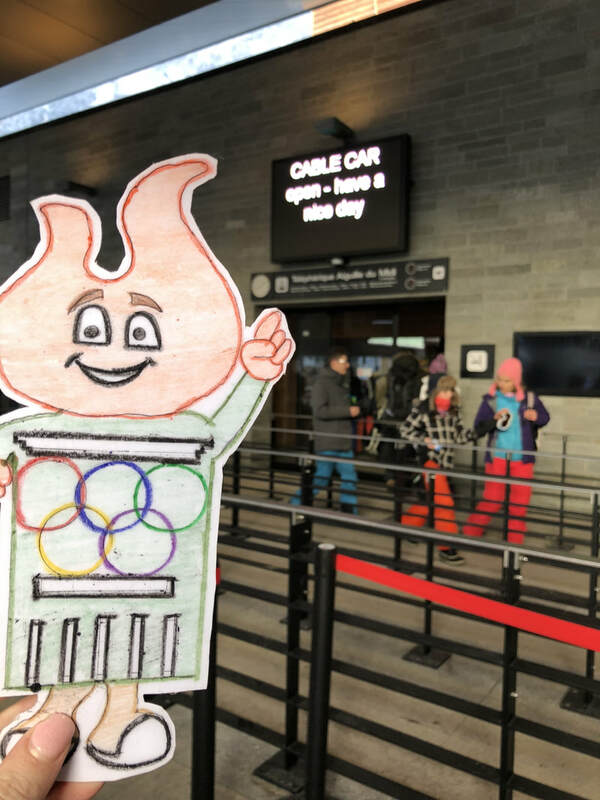 We loved exploring the ski village and Torchy did too! 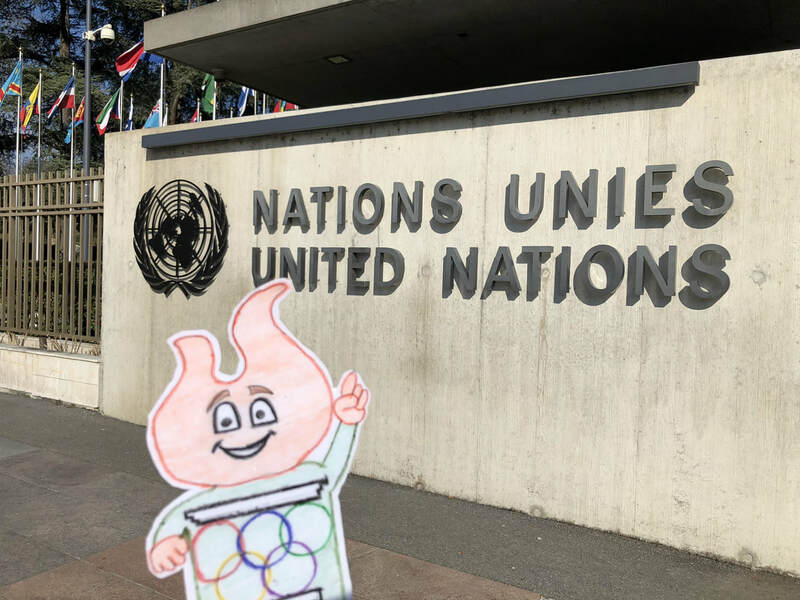 If 10 more countries joined the UN how many flags would there be? 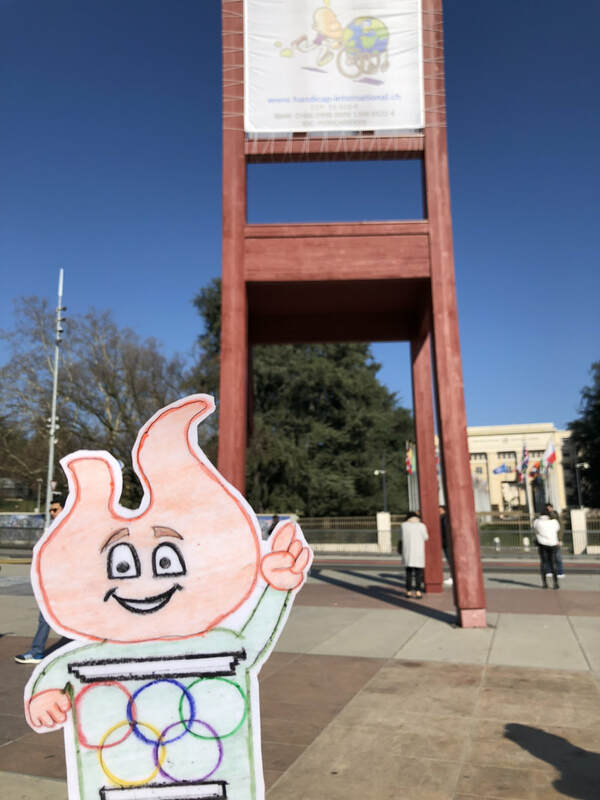 Torchy in front of the Broken Chair statue. 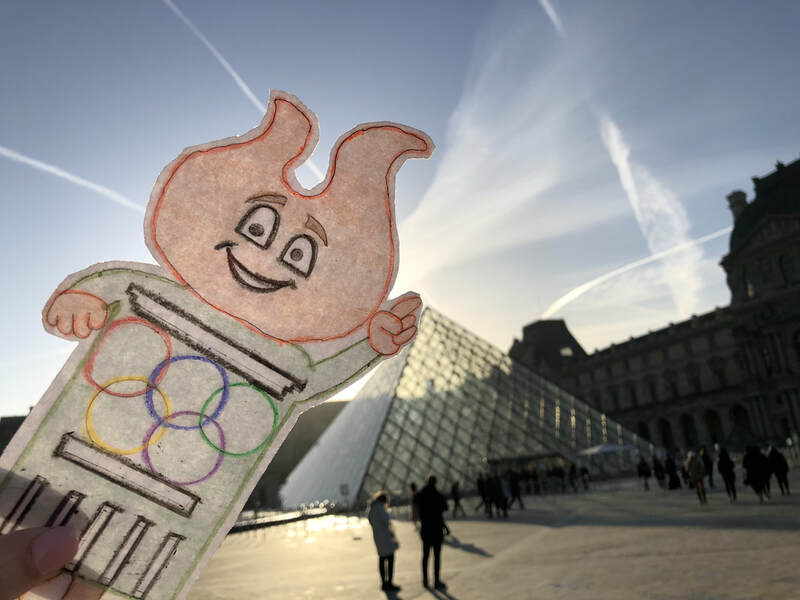 Do you remember from the blog what it represents? P R A G U E !! The elevator and ramps up to the top of the clock tower. 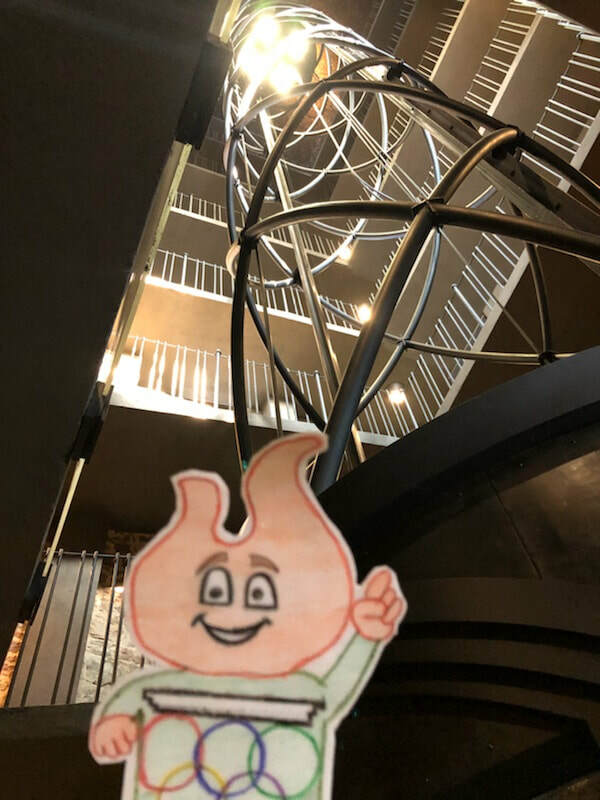 Do you think they had elevators in 1410 when it was built? Construction on the St. Charles Bridge began in 1357 and was completed in 1402. How long did it take to construct? 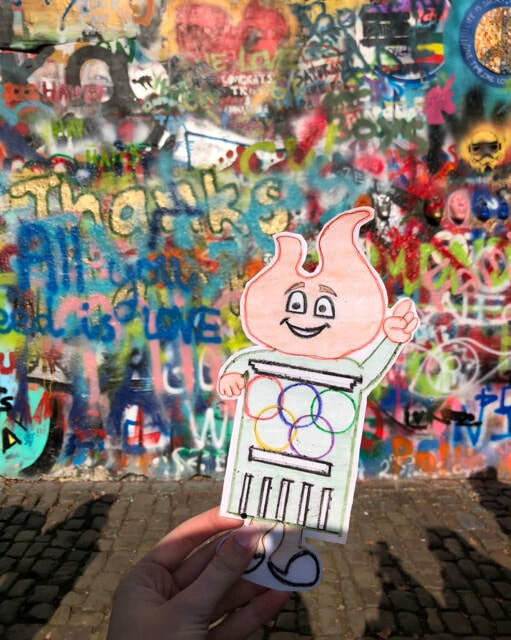 Torchy in front of the John Lennon wall, which began in 1980 after he passed away. What is 100 more? What is 1000 more? 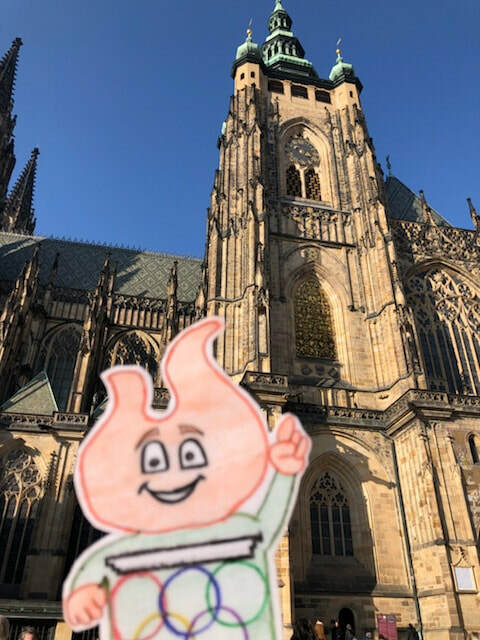 According to the Guinness Book of Records, Prague Castle is the largest ancient castle in the world, occupying an area of almost 70,000 square meters! WOW! 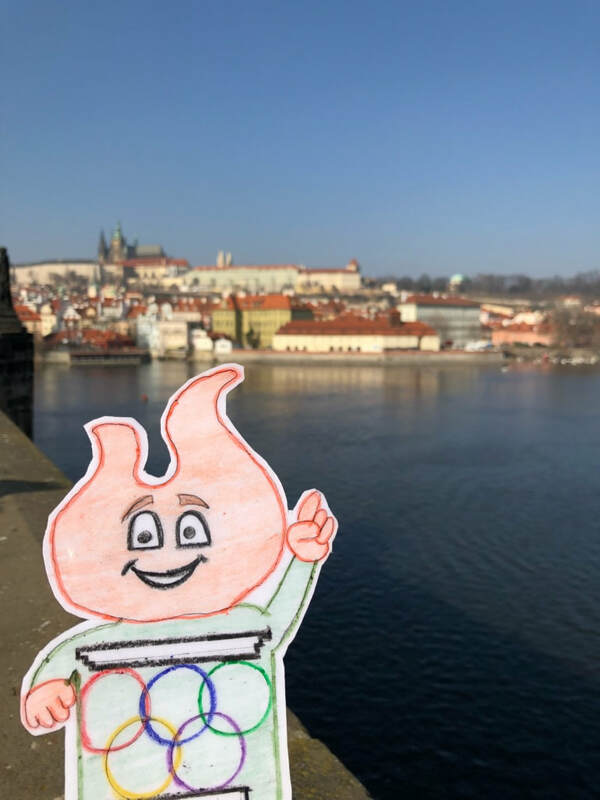 The river that runs through Prague in the Czech Republic is called the Vltava River. Does anyone know what the river that runs through Fort Worth is called? S T O C K H O L M !! 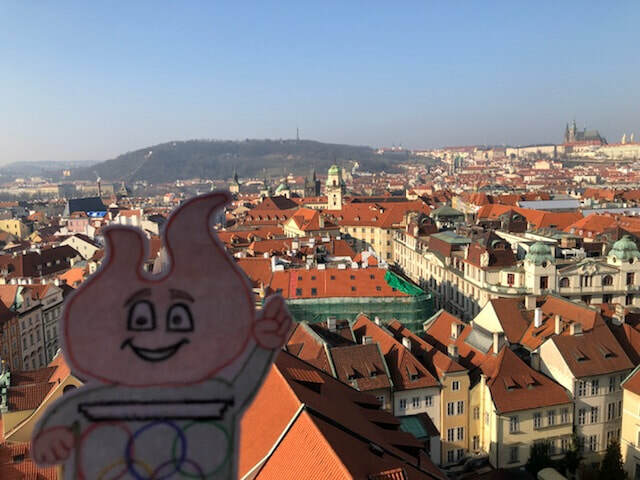 Torchy enjoying the view from the top of the clock tower. 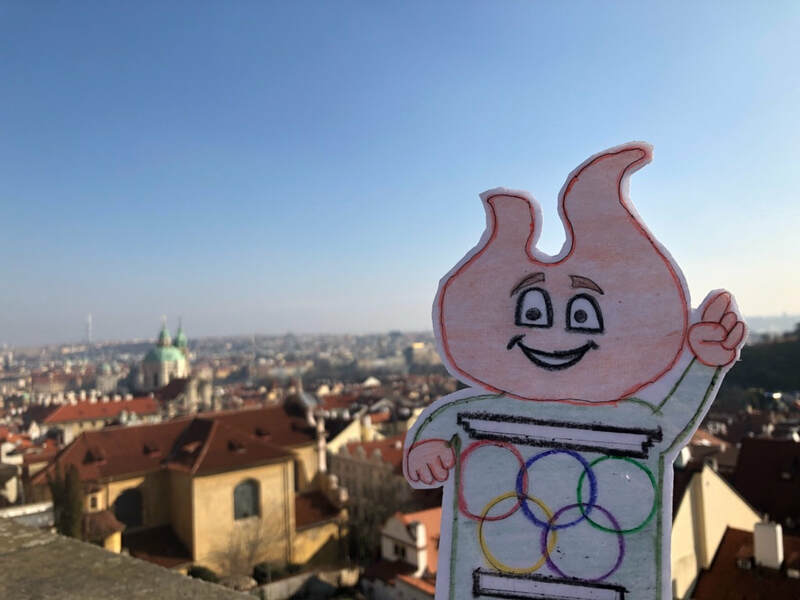 Can you spot Prague Castle in the distance? 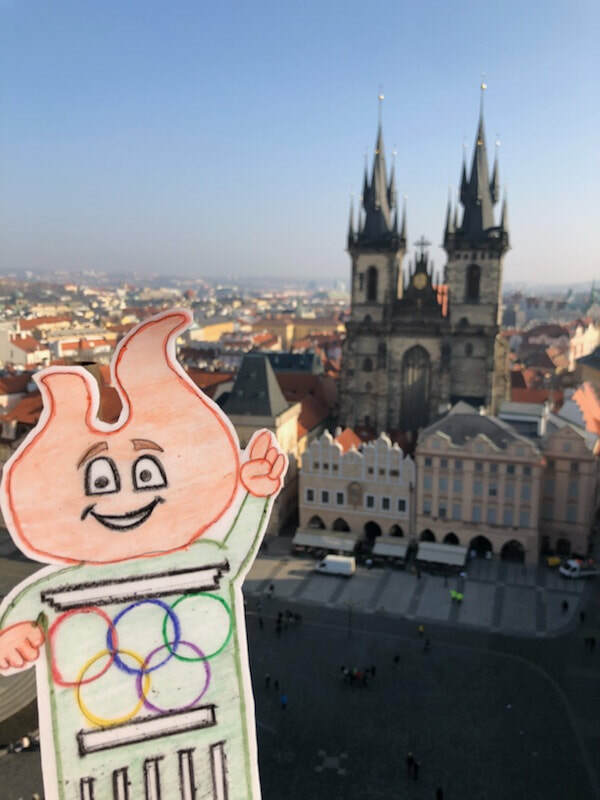 Torchy found Old Town Square from the top of the clock tower! 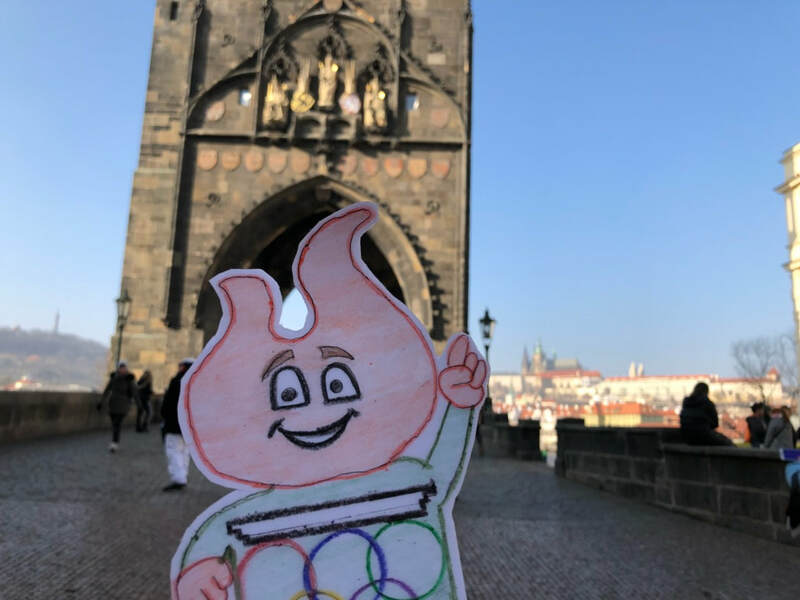 Torchy at the front of St. Charles bridge. 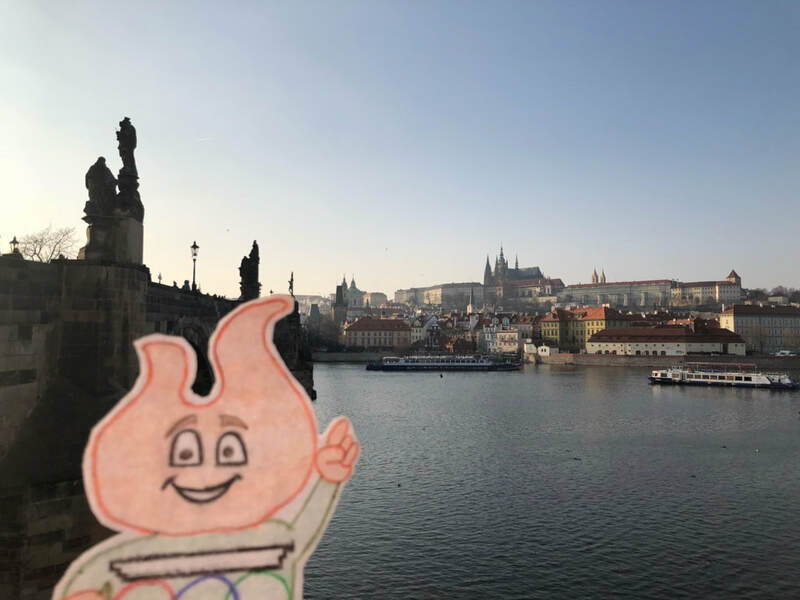 Why do you think it's called the St. Charles bridge? If you guessed after the King who had it built you were correct! The outside of the Basilica was gorgeous! 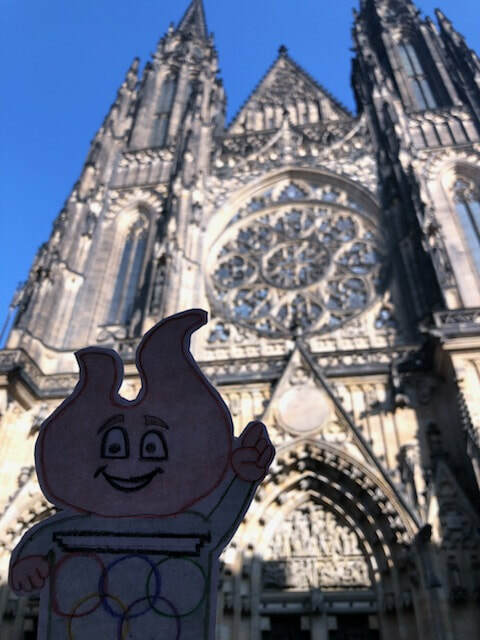 This style of architecture is called "Gothic"
Torchy was PUMPED to try a Tredlnk! 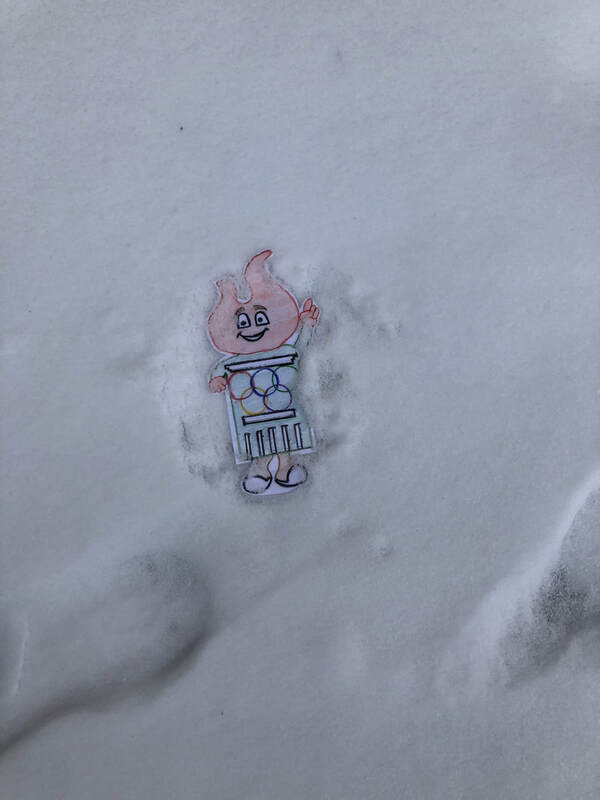 Torchy tried to make a snow angel... it didn't really work. Have you ever made a snow angel before? 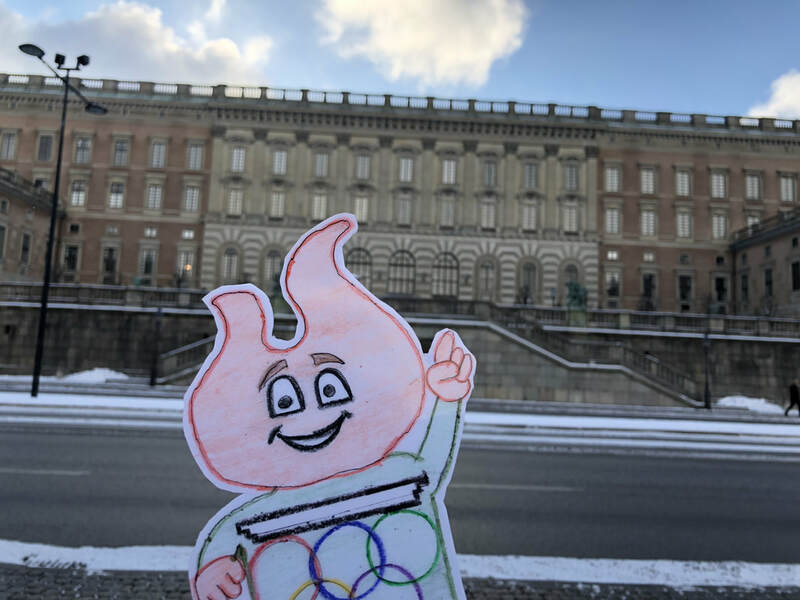 Torchy outside the Royal Palace of Stockholm. What is the closest building we have to this in the United States? Hint: where does the president live? O M G it's snowing!!! In Sweden they use the Metric System instead of measurement, instead of the Customary System like we do in the U.S. It was about 20 degrees fahrenheit or -6 degrees celsius. Woah that's cold! 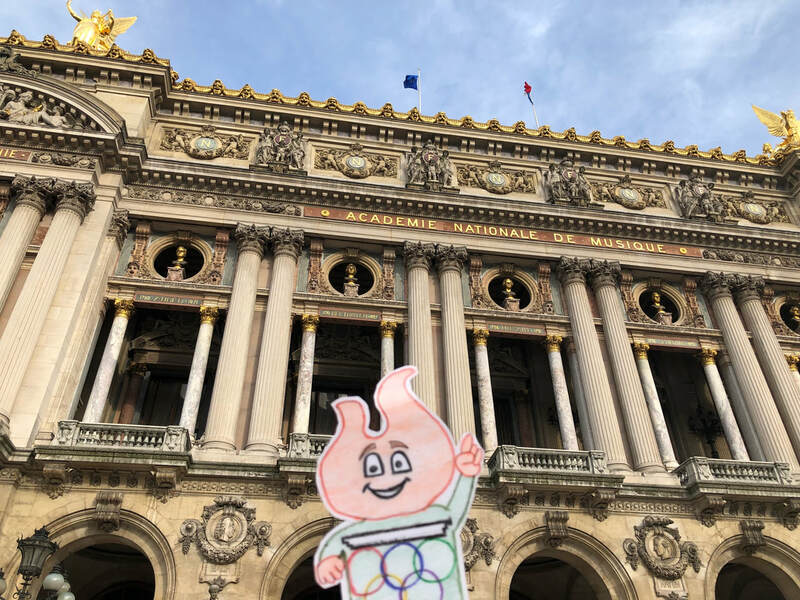 Torchy found watching the changing of the guard ceremony at the royal palace fascinating! 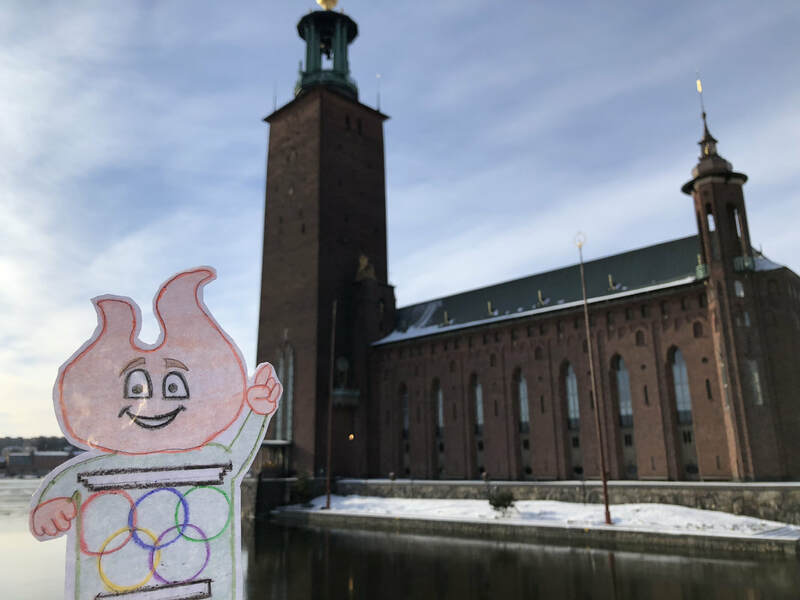 Torchy outside Stockholm City Hall. If you look closely you can see the water around the building was frozen! Do you know what temperature water freezes at? 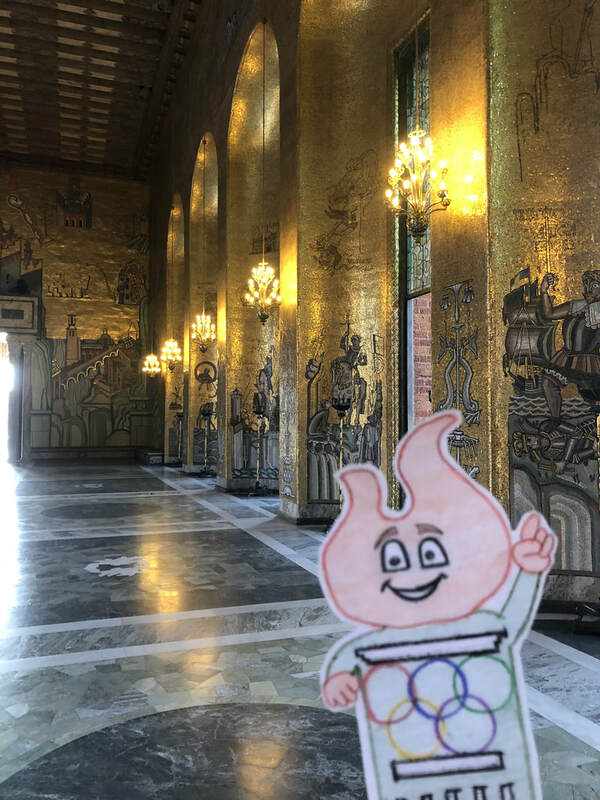 Torchy inside Stockholm City Hall. We both loved this room made of gold tiles! 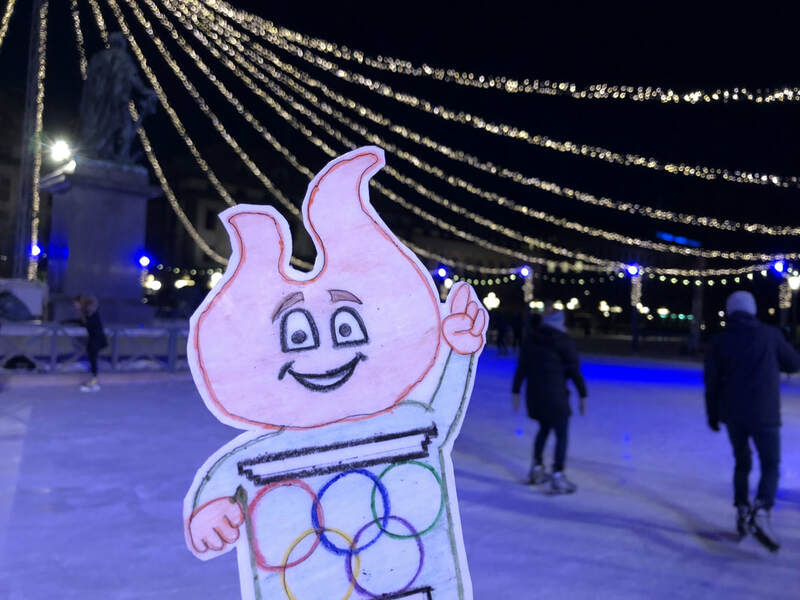 Time for ice skating! If we started iceskating at 6:30 and skated for 1 hour and 30 minutes what time did we finish skating? Our train left at 9:30 and was 5 hours long. 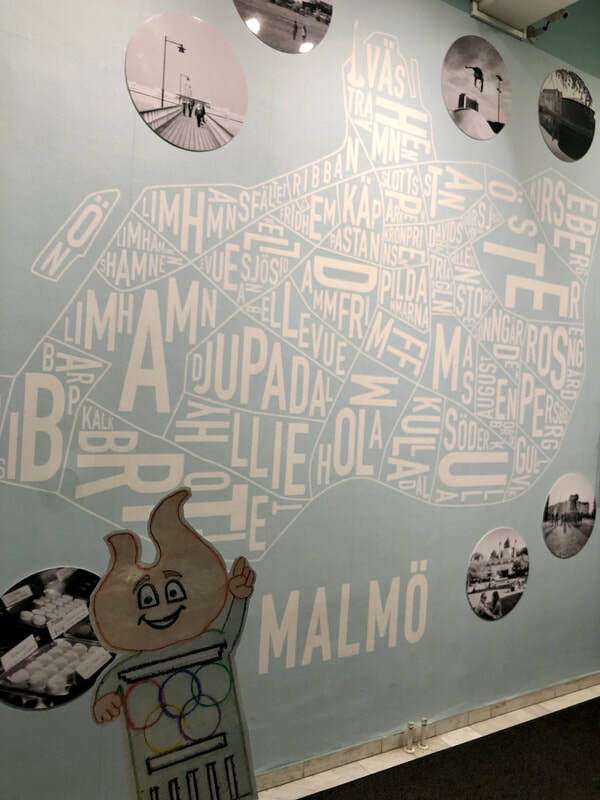 What time did we arrive back in Malmö?